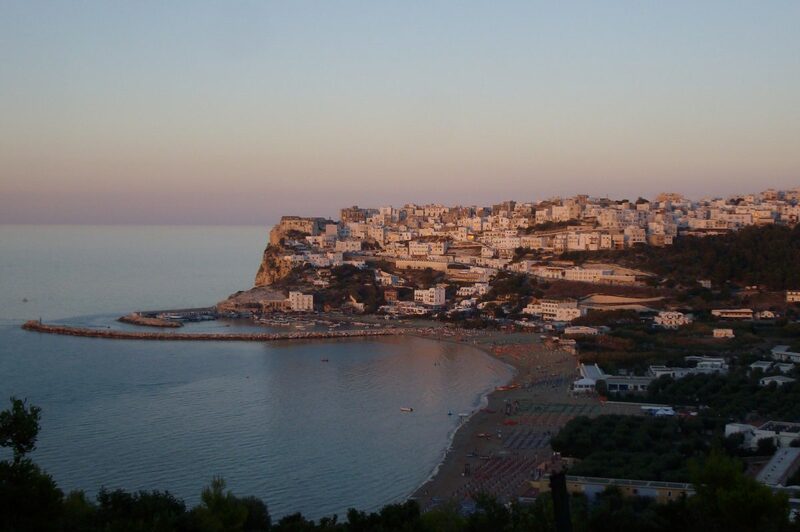 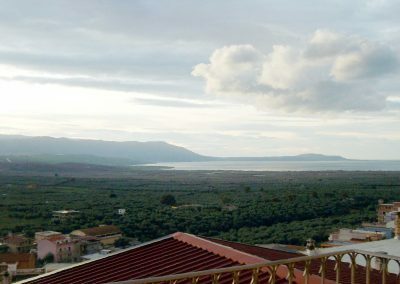 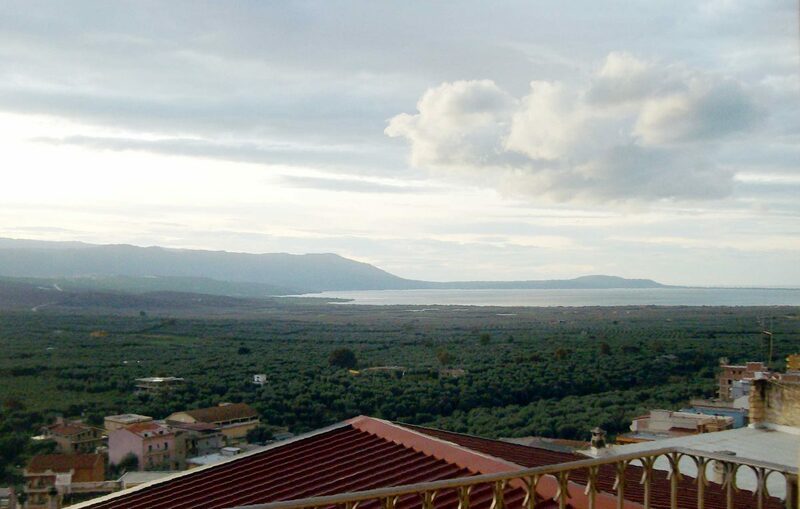 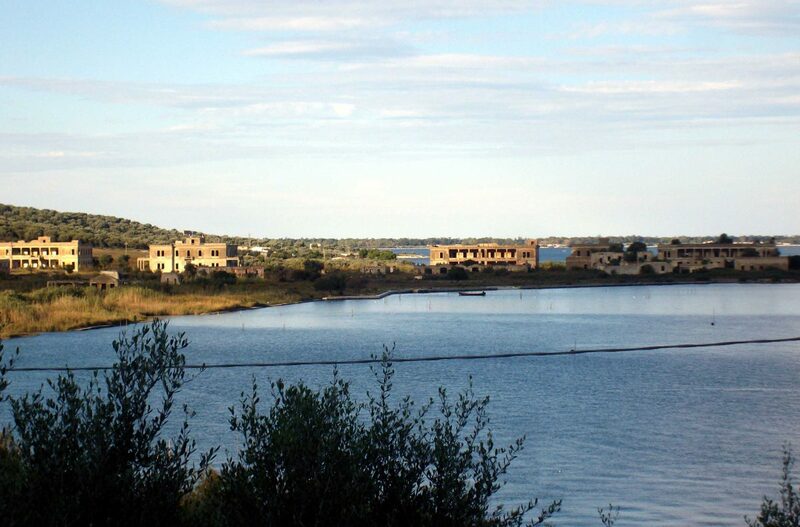 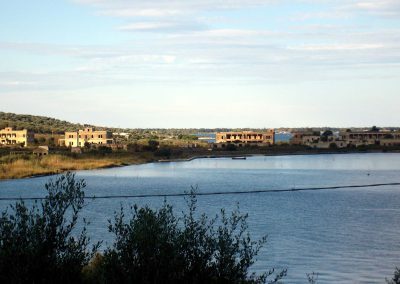 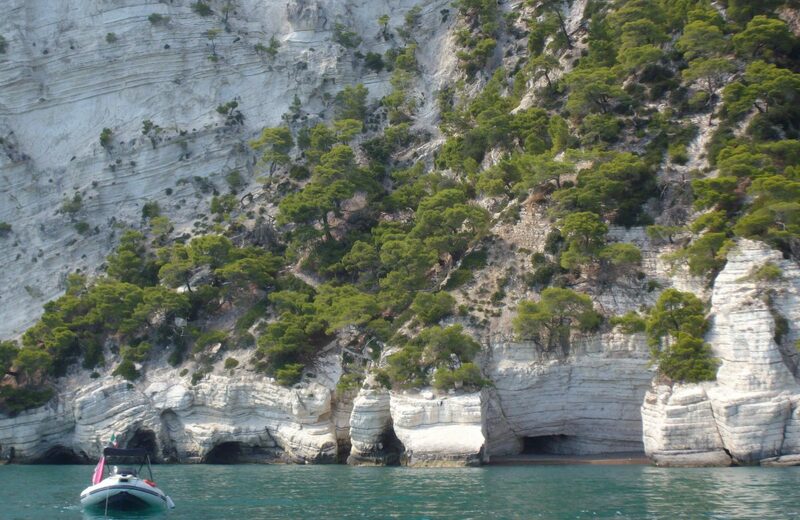 The Gargano is a peninsula on the Italian peninsula and is known as “the spur of Italy”. 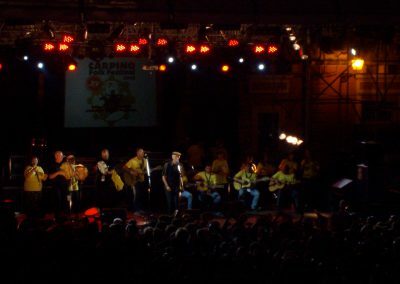 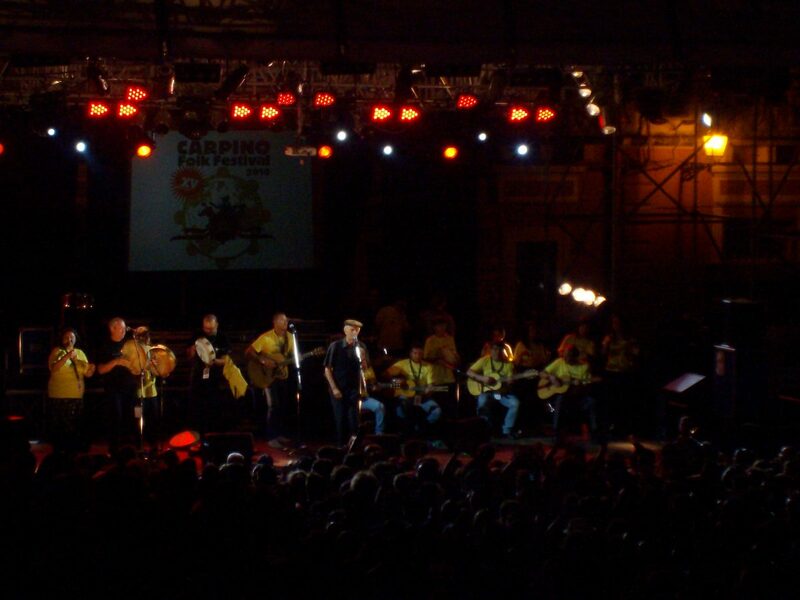 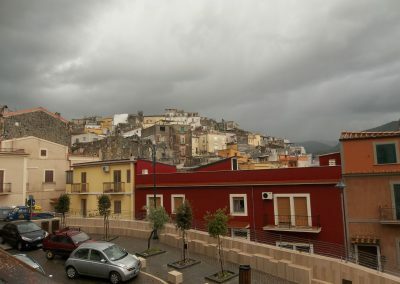 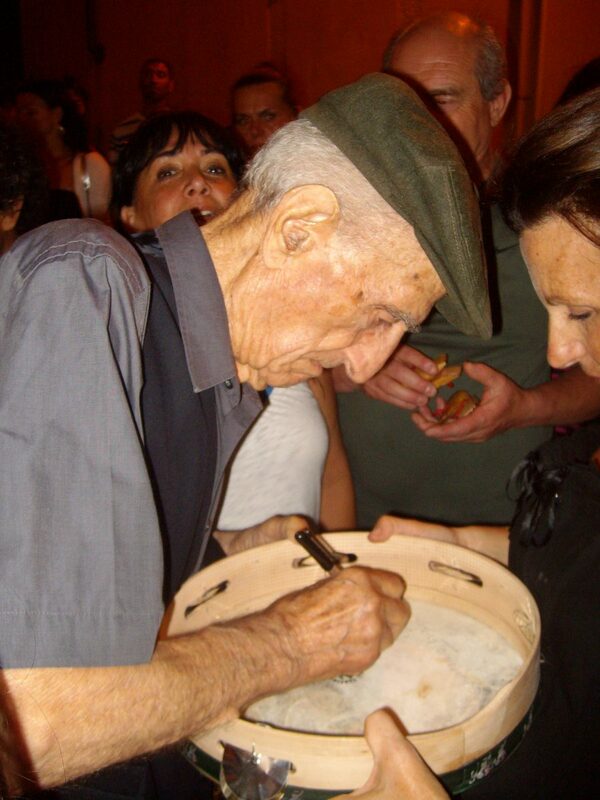 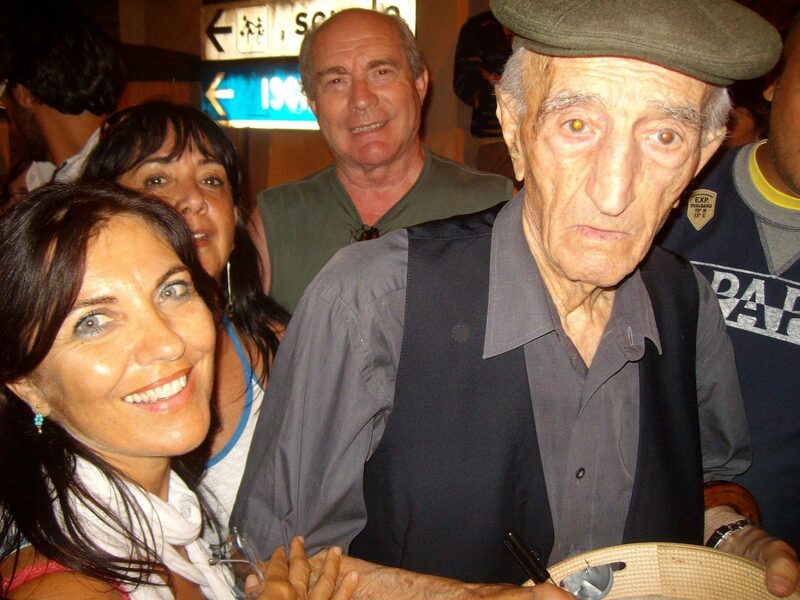 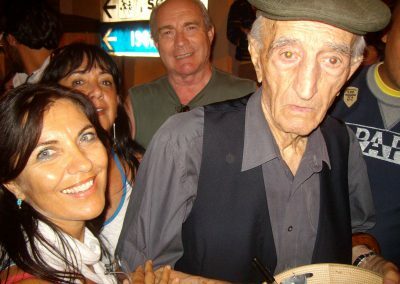 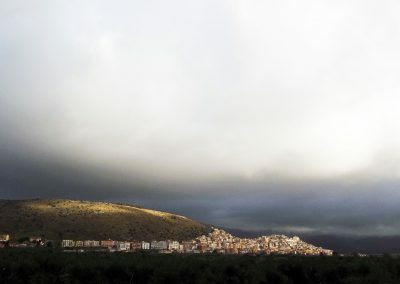 Lesina and Varano. 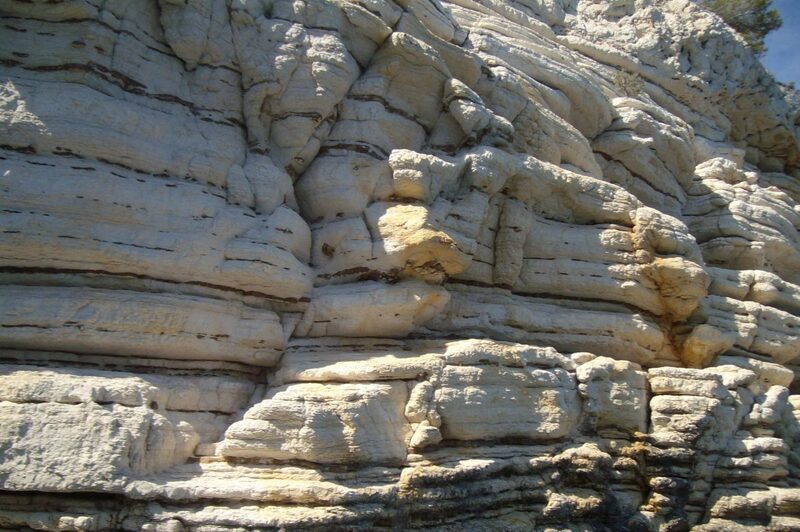 The maximum length is about 70 kilometres and its width is about 40 kilometres. 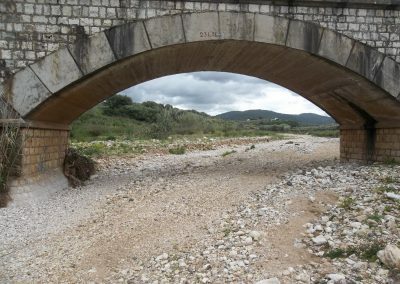 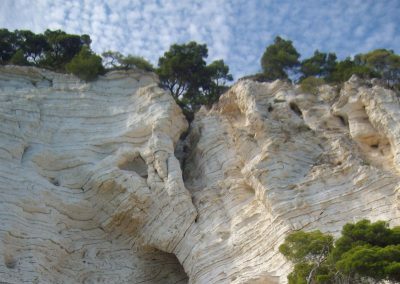 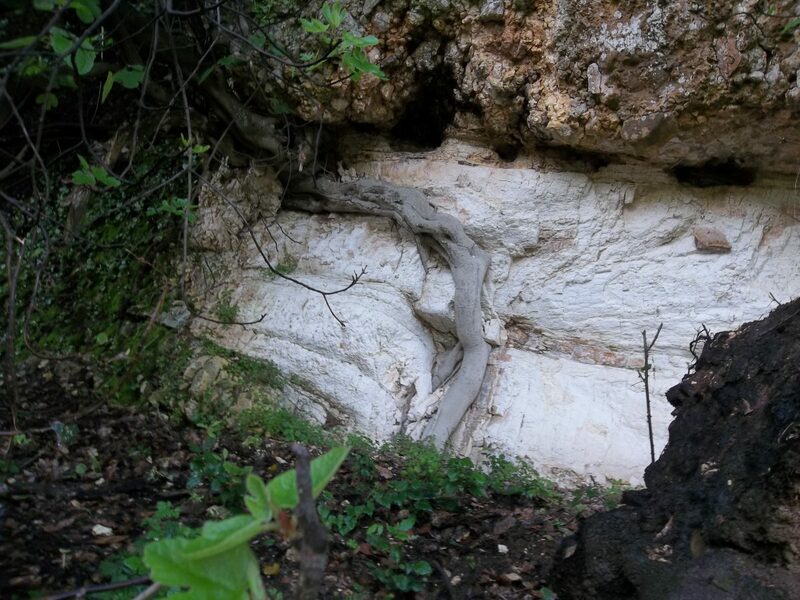 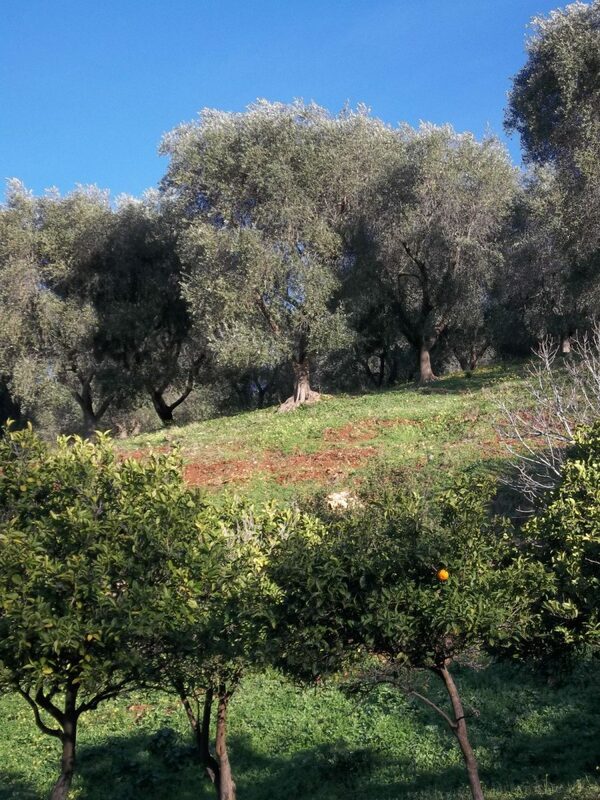 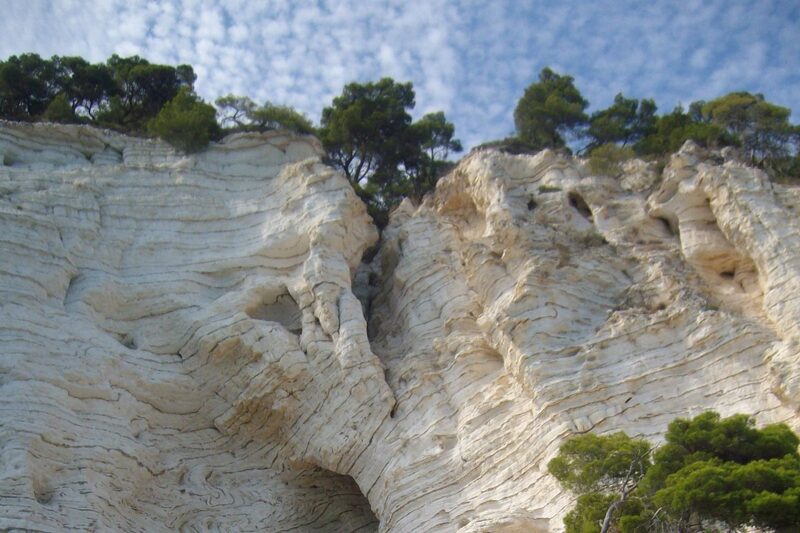 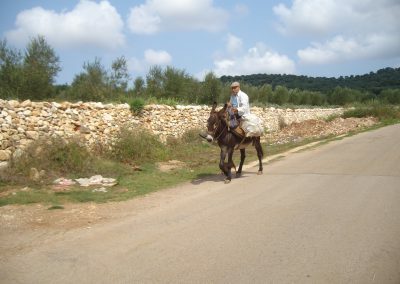 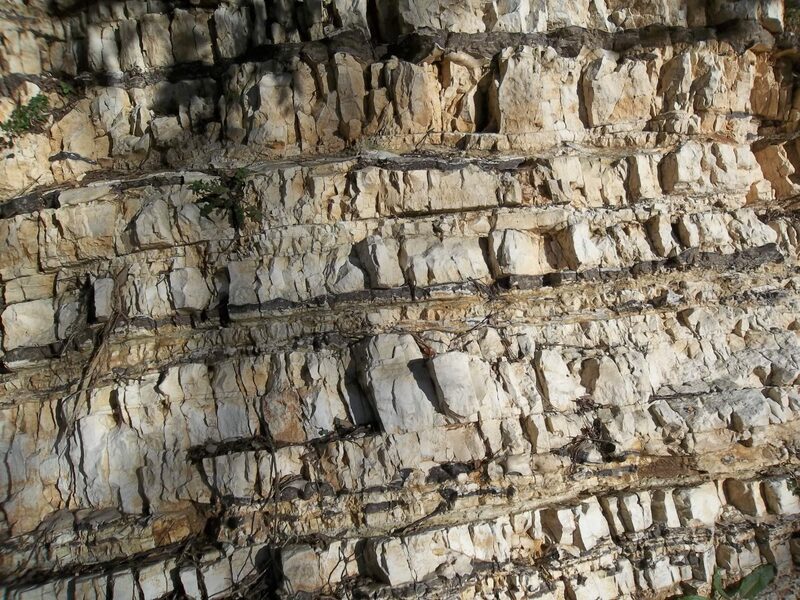 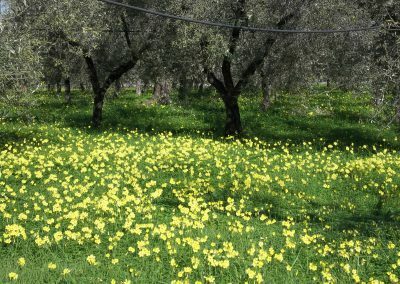 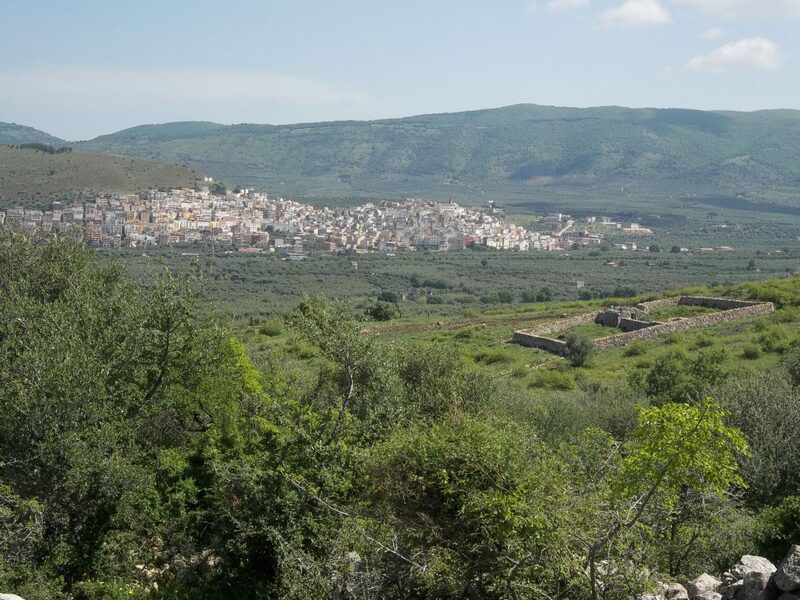 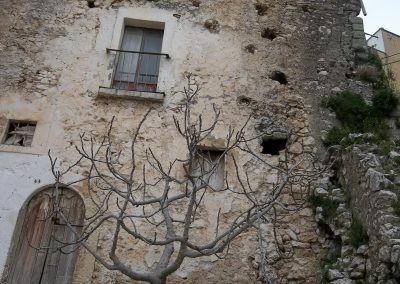 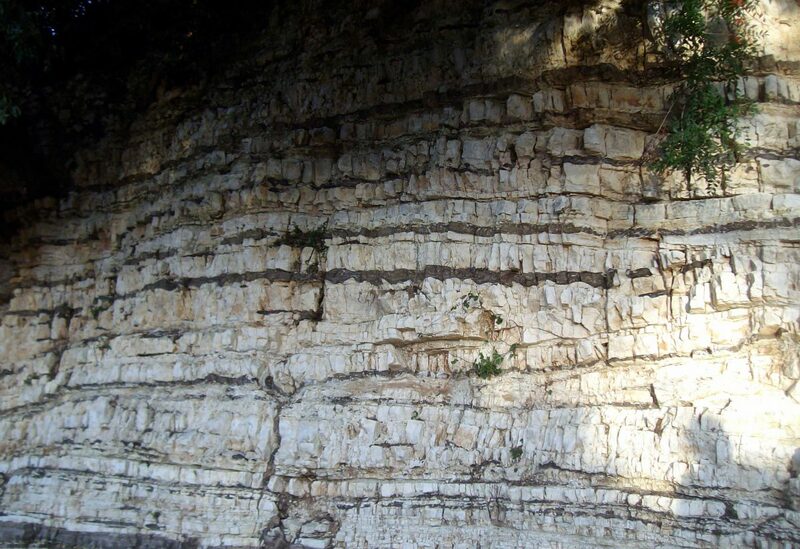 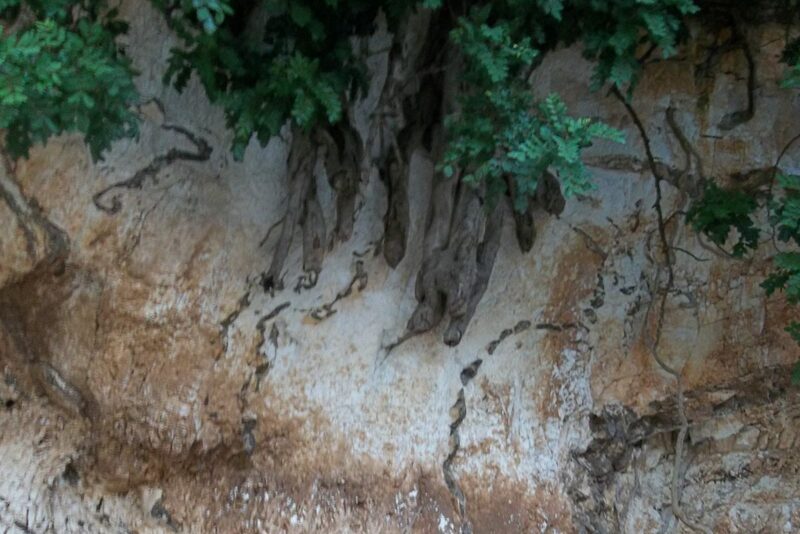 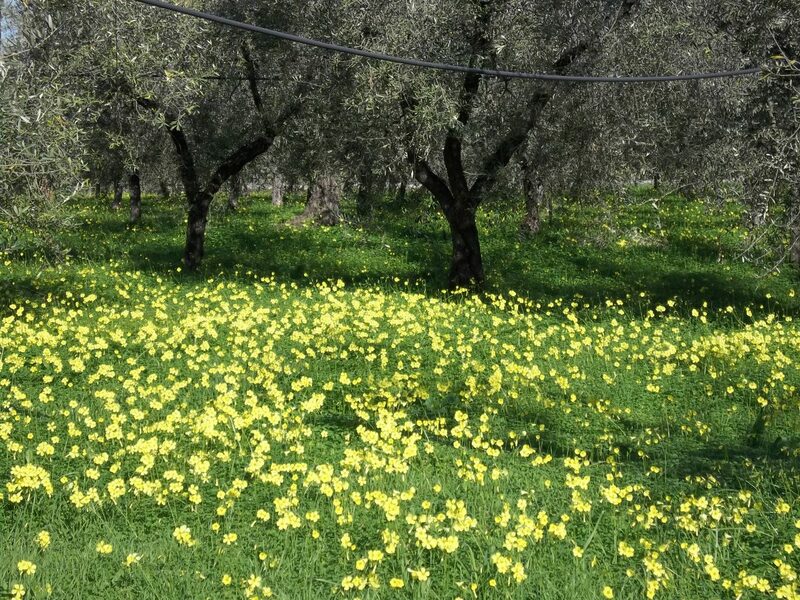 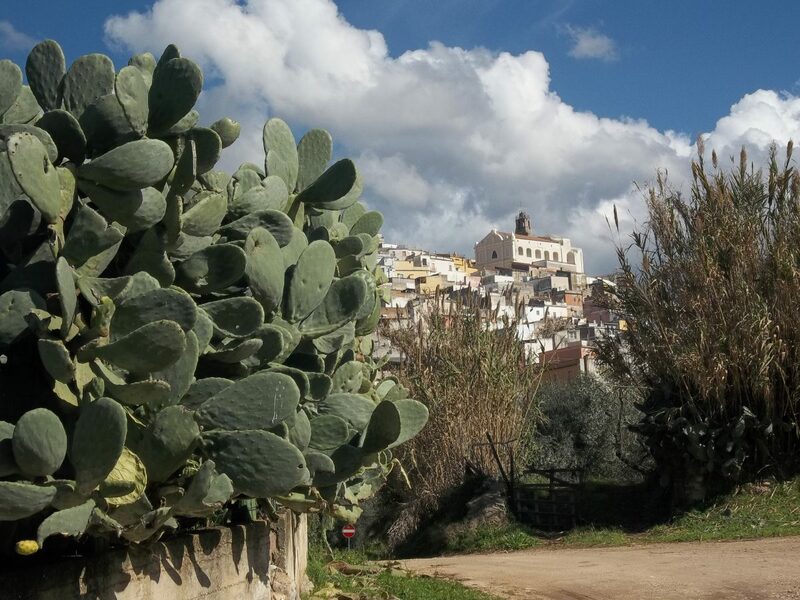 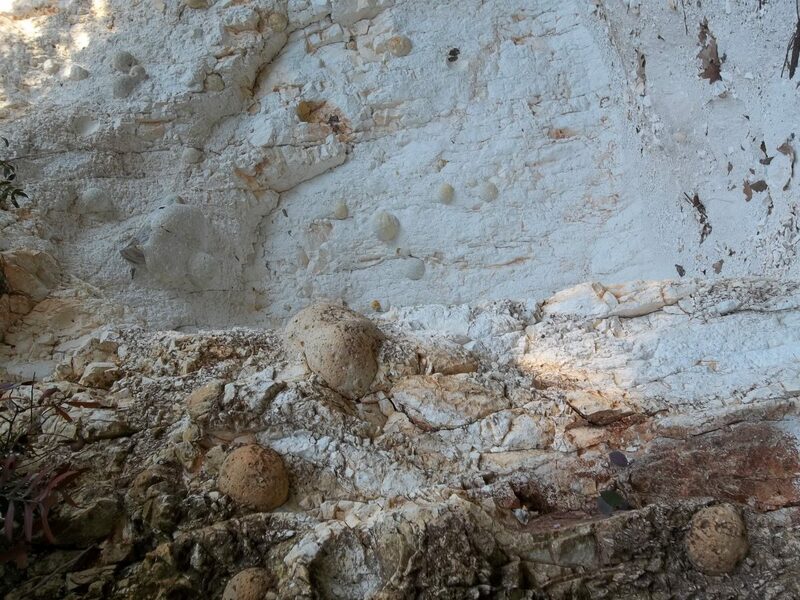 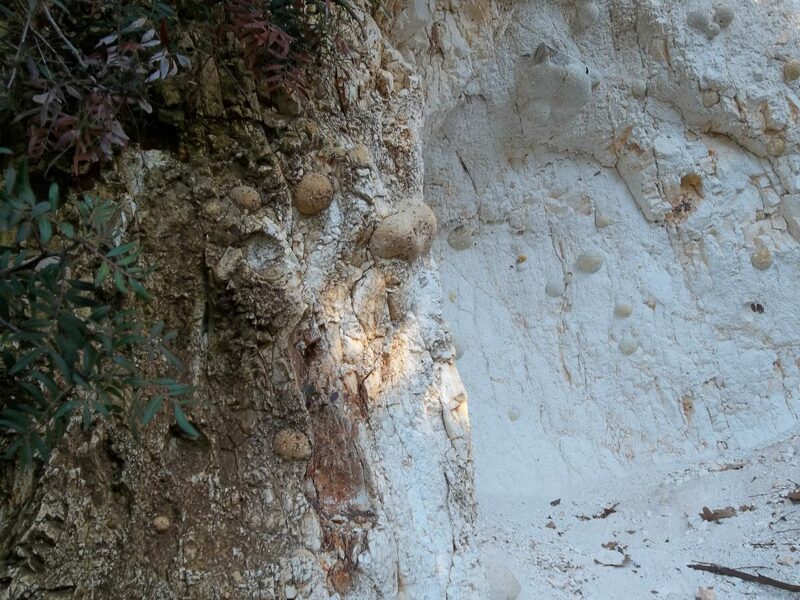 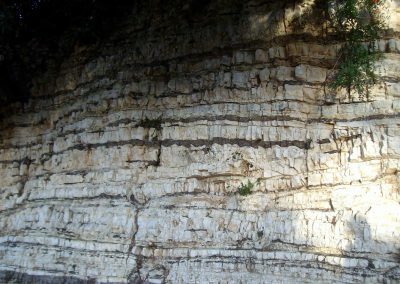 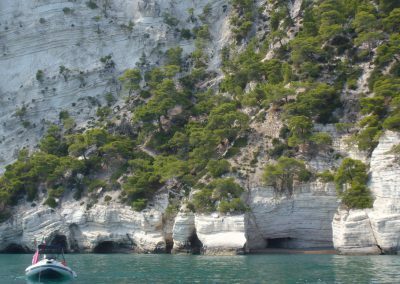 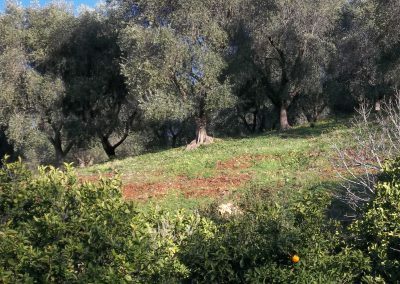 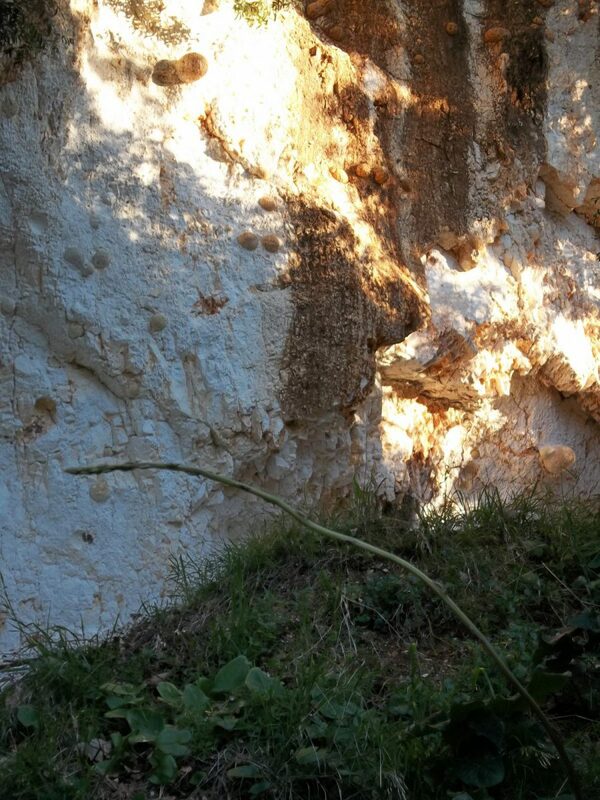 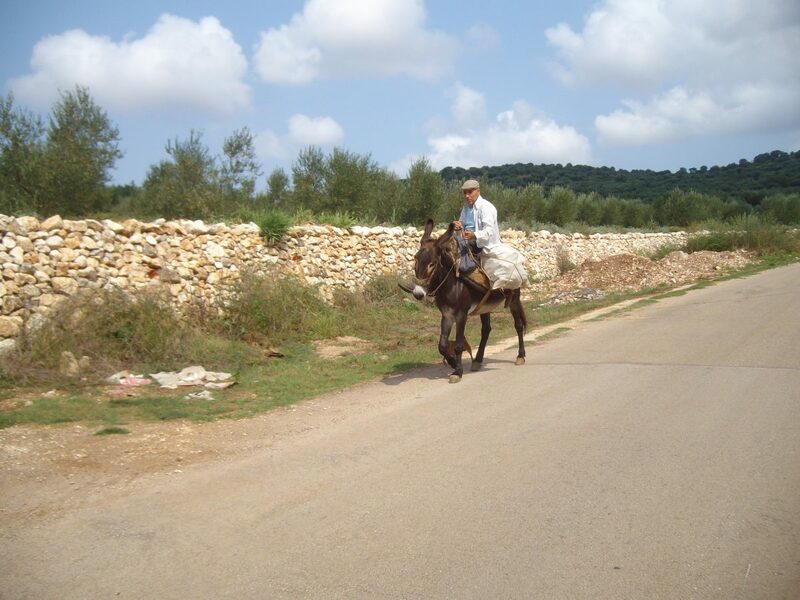 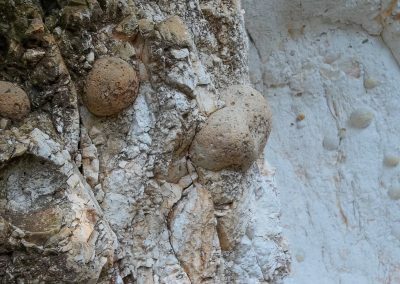 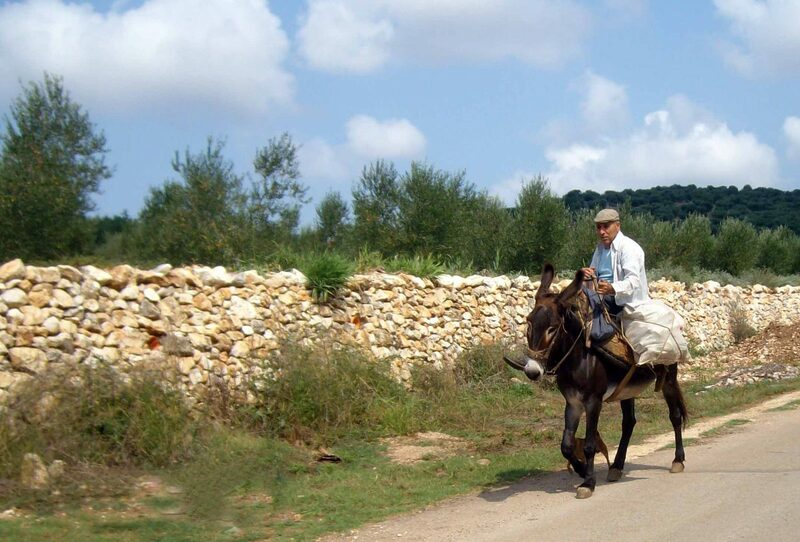 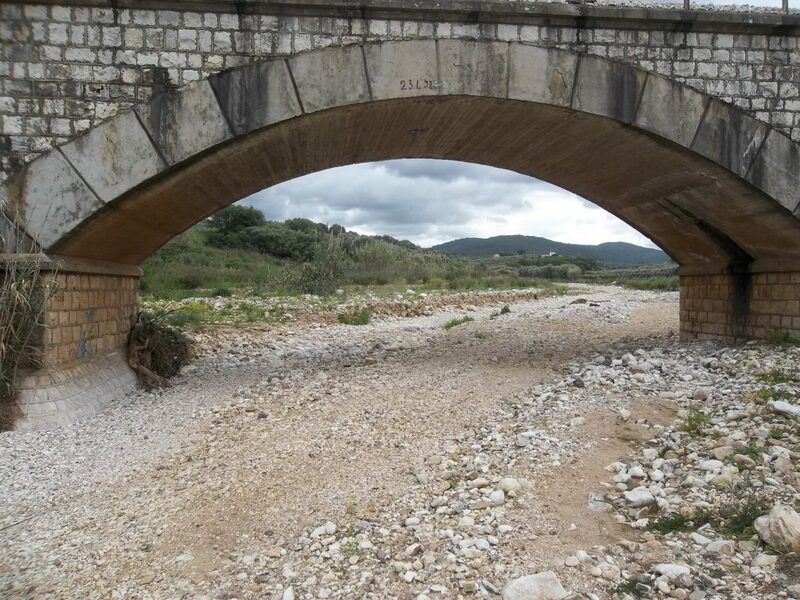 If we look at the nature of the land of the Gargano, we notice immediately that it is basically limestone which gives the region a notably carsic aspect. 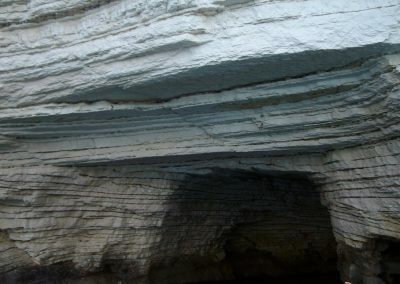 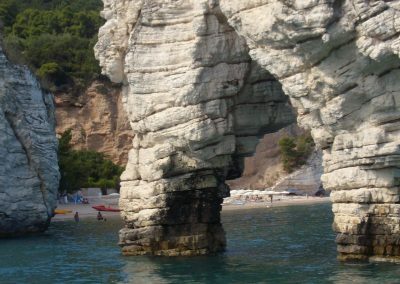 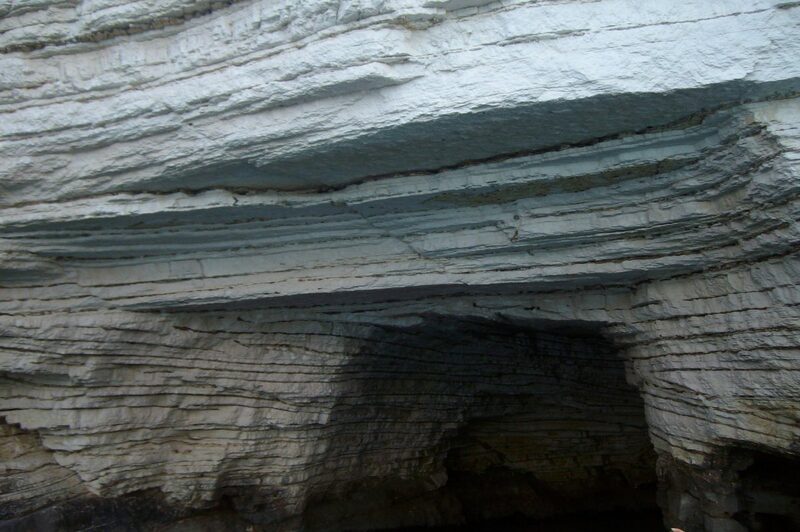 The geologists think that the promontory may have originated from endogeneous forces lifting it from a transverse fault from the Adriatic Sea, running from the western side of the Adriatic (Italy) to the northern part of the Balkan or Illyrian peninsula. 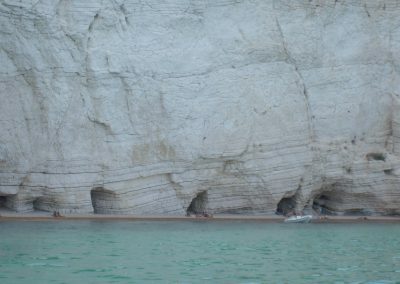 The promontory of the Gargano is made up of a mass of sediments and rocks modeled in the shape of a myriad of landscapes of beaches, bays, cliffs, stacks, deeply-cut, tortuous valleys, plains with dolines, wide open spaces, still to be discovered caves, extending as far as the great coastal lakes of Lesina and Varano. 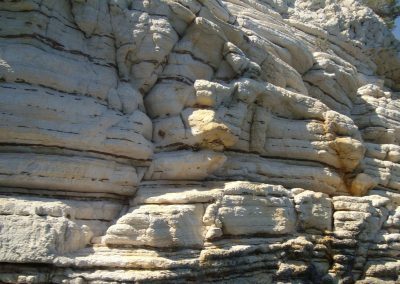 This important and variegated ‘geodiversity’ is the result of a diverse geological history which began more than 250 million years ago. 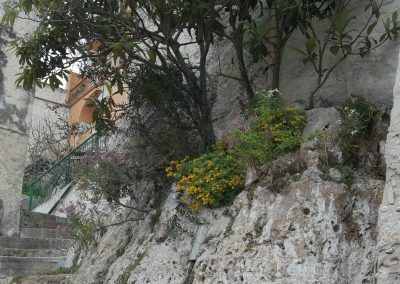 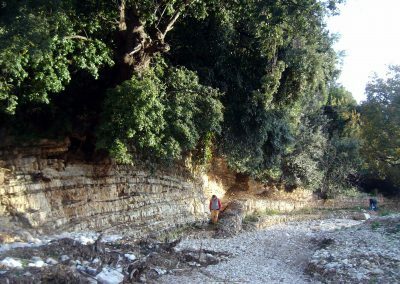 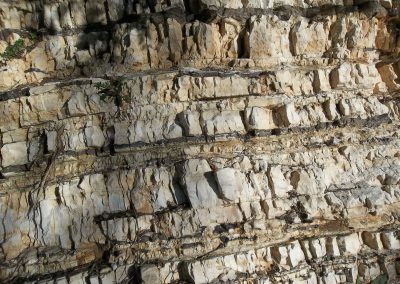 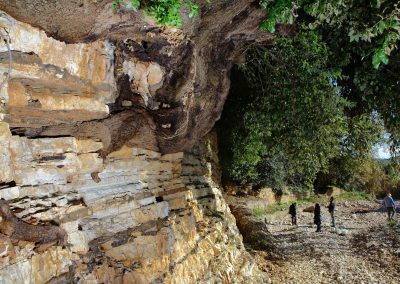 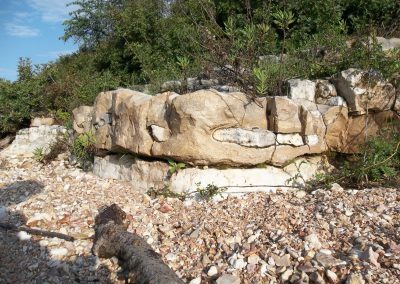 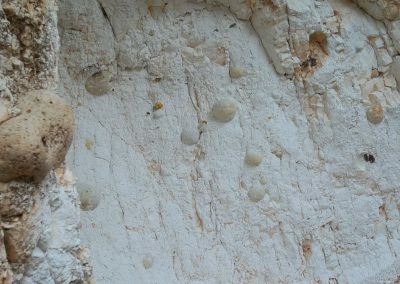 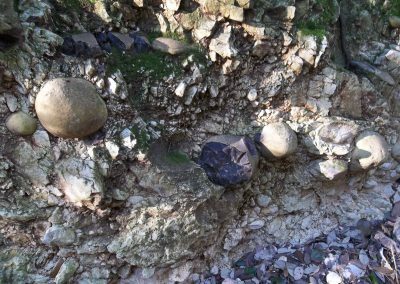 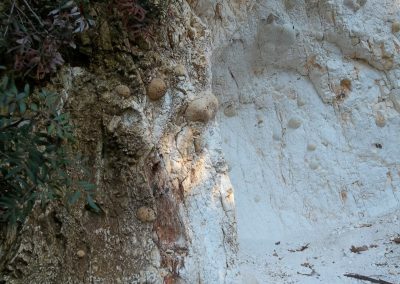 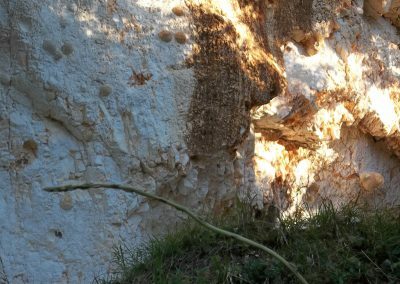 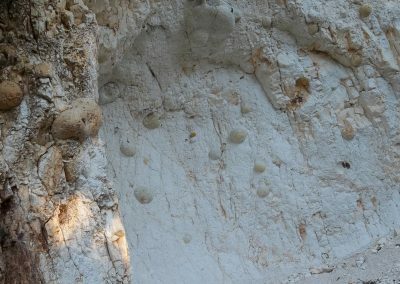 In the Gargano, we find carbonic rocks mainly from a period between the late Jurassic and the Eocene (40-165 million years ago). 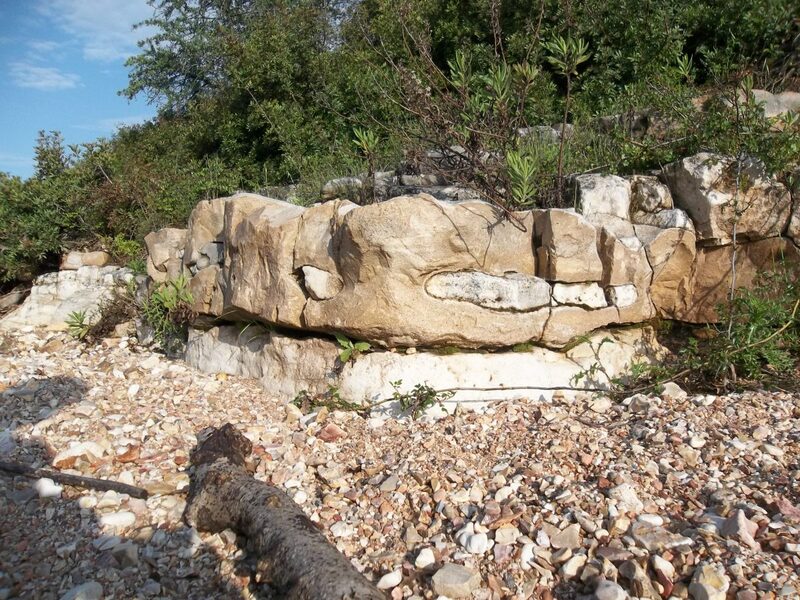 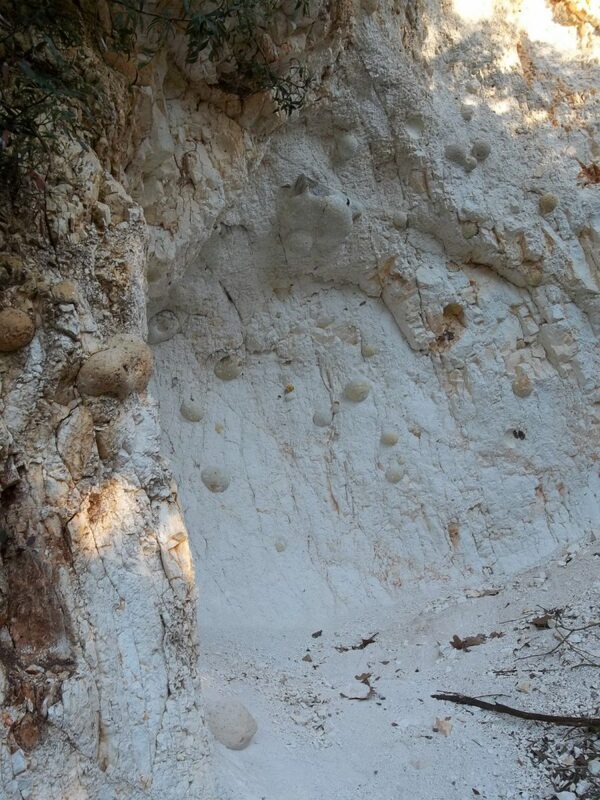 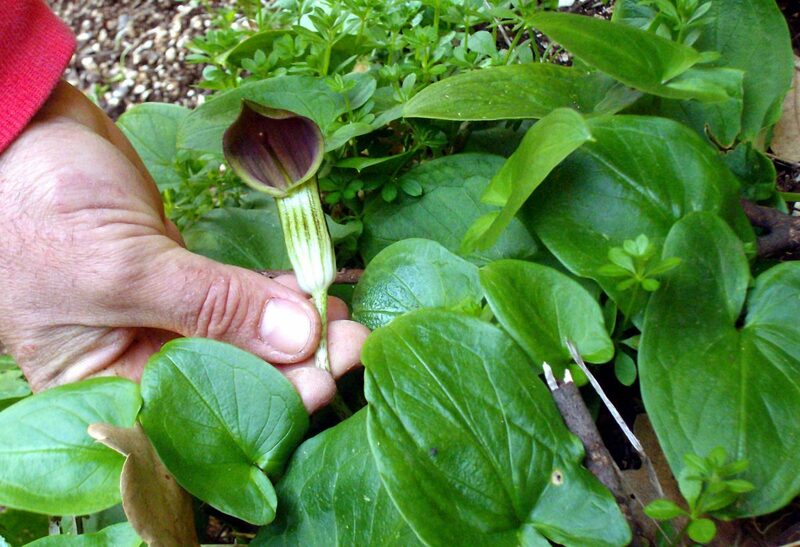 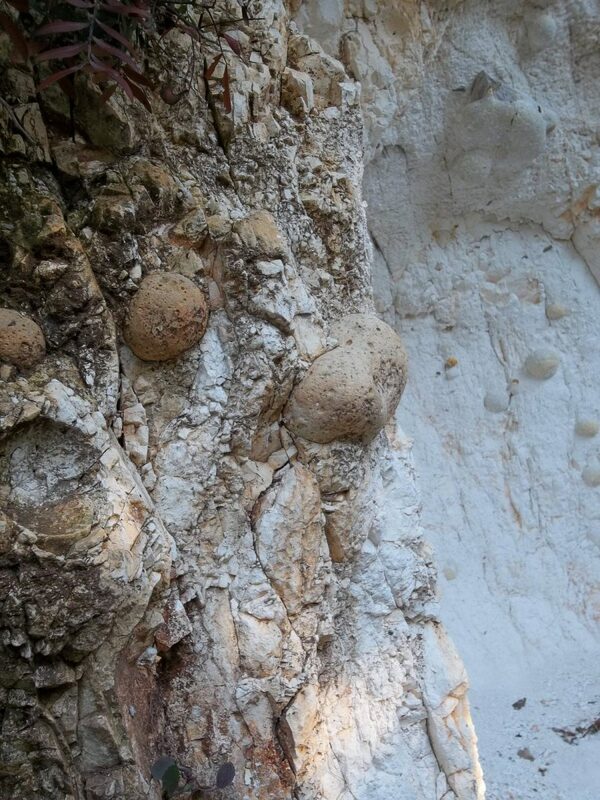 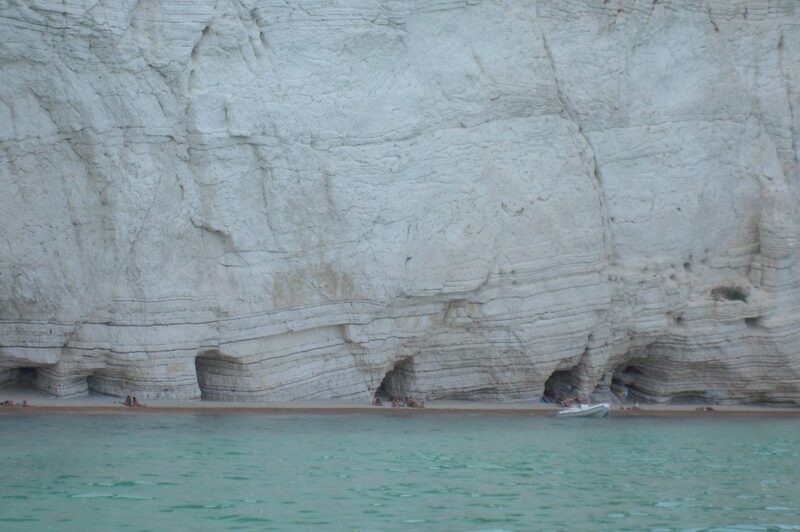 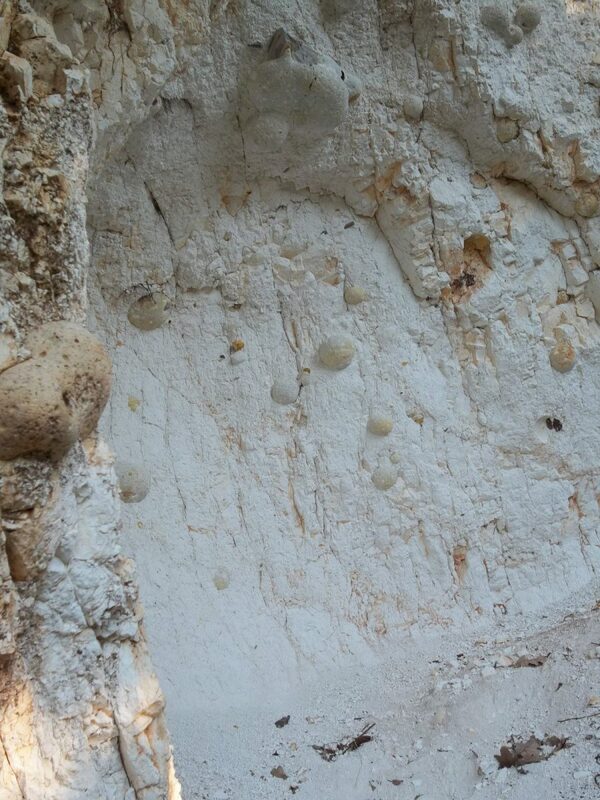 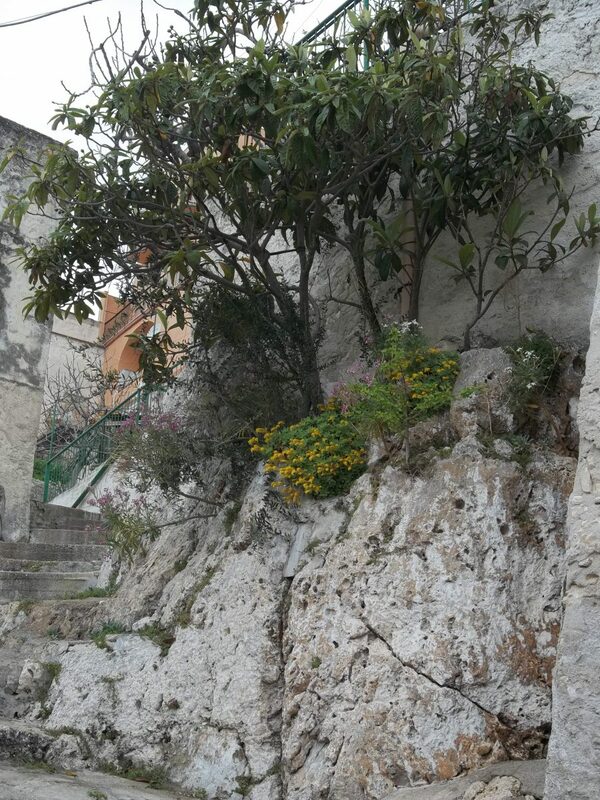 In its geological history, the Gargano is incredibly rich in high quality flint which can be splintered. 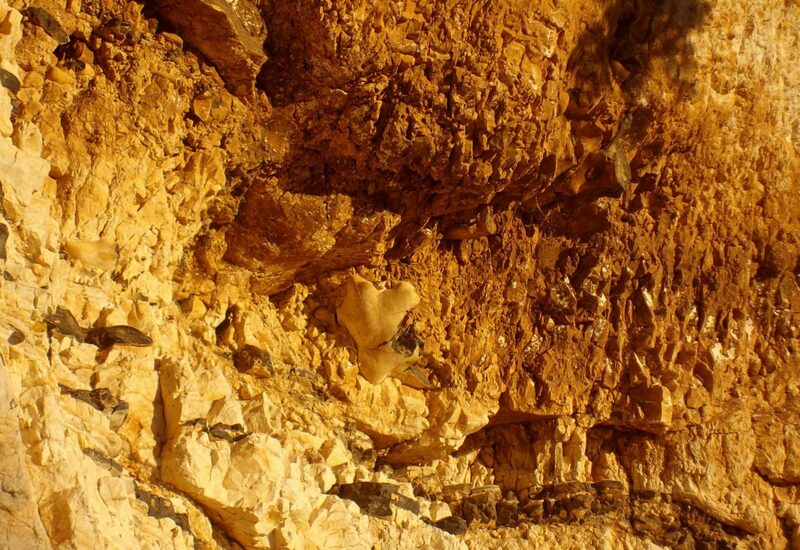 Almost all of the prehistoric tools were made with it and even some today. 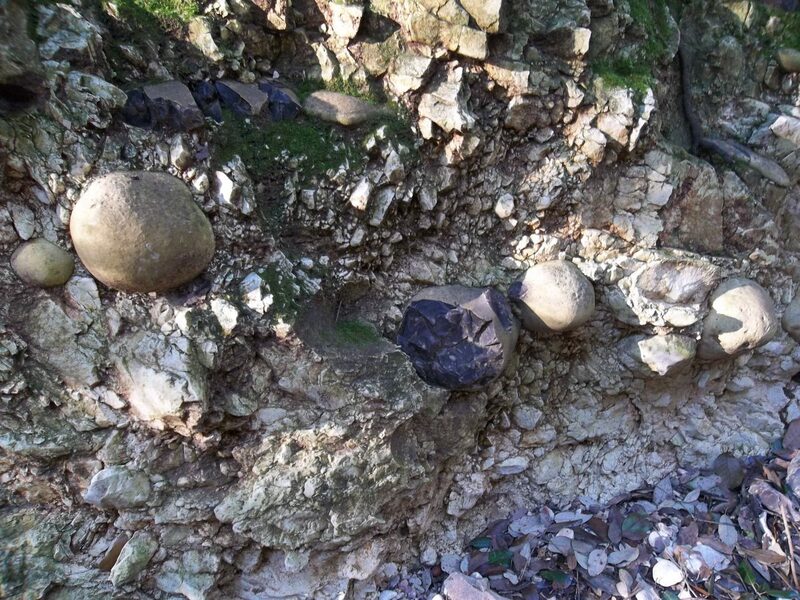 These were indispensable lithic tools for ensuring survival in those times. 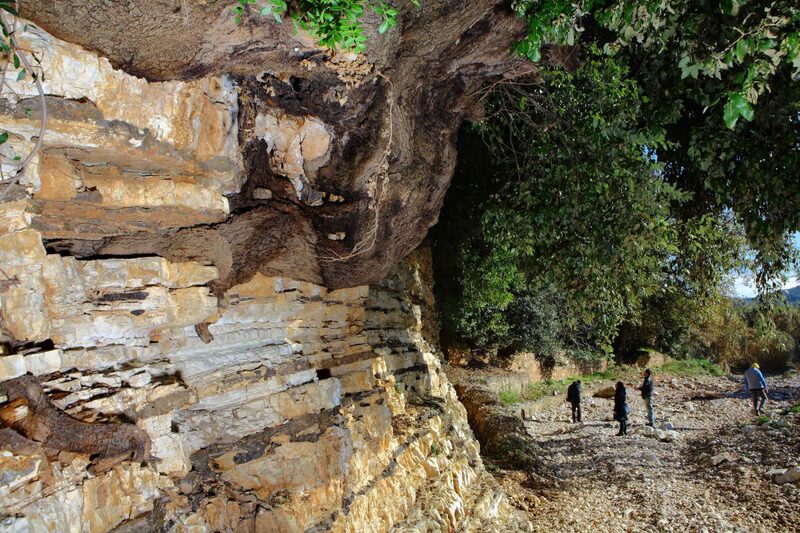 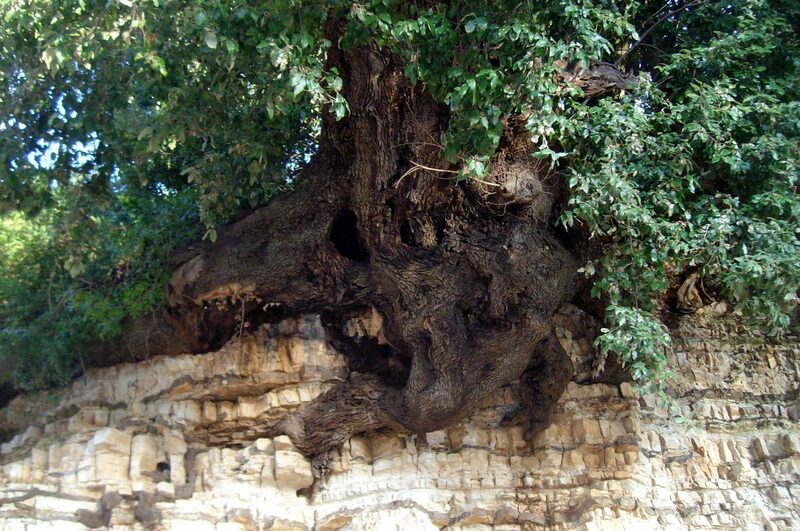 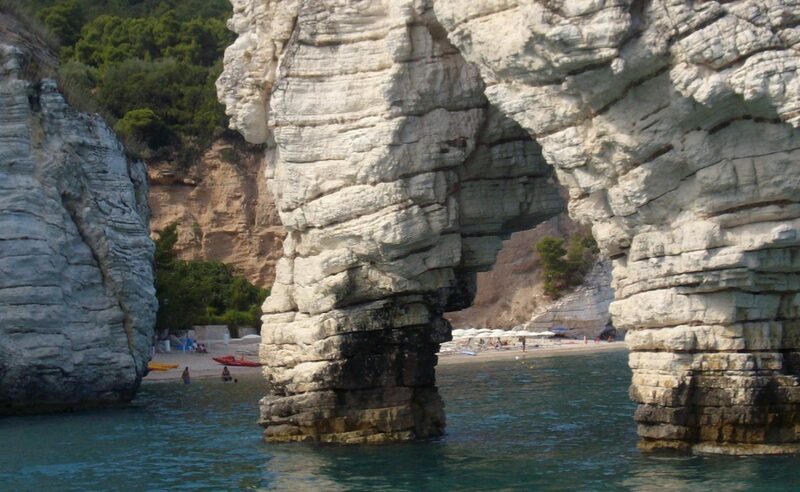 The Gargano has been considered as the most ancient prehistoric mineral district in Europe. 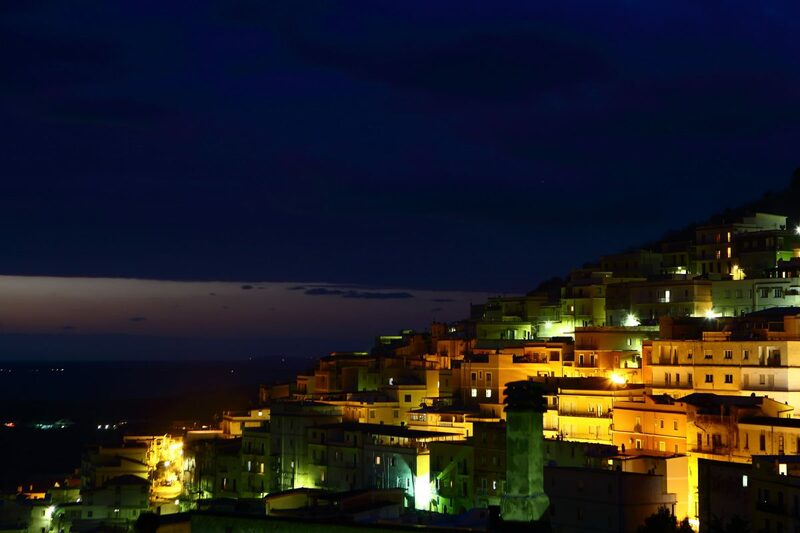 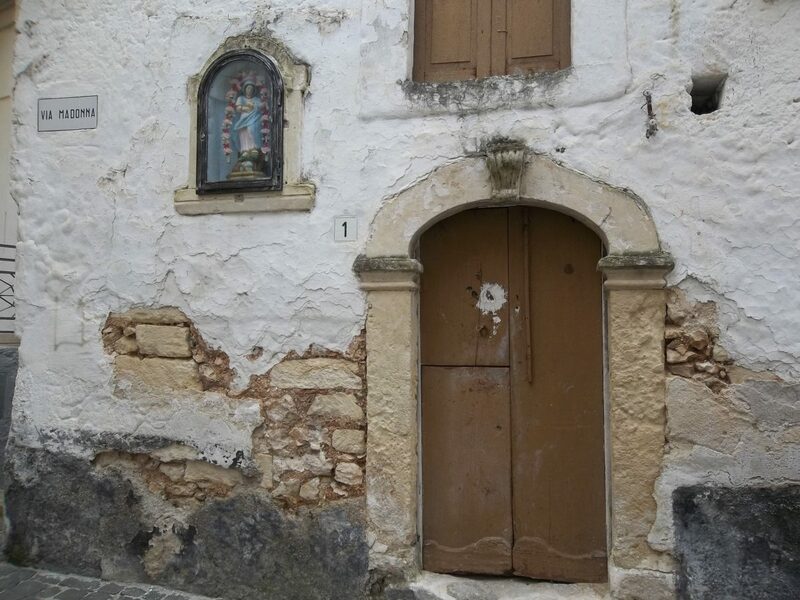 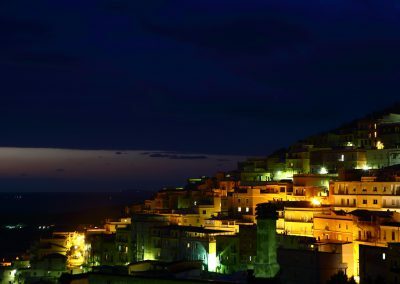 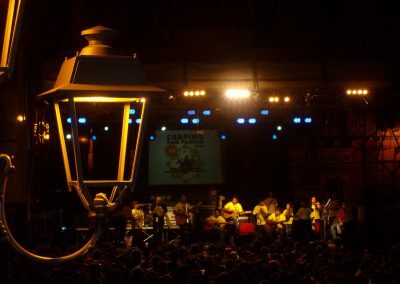 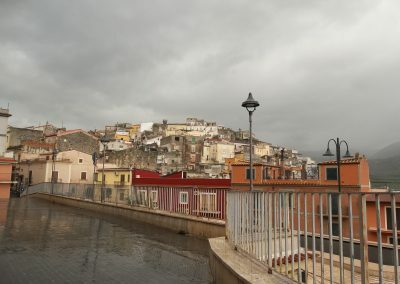 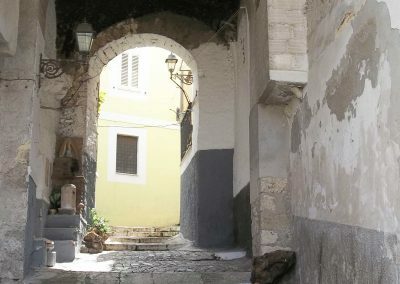 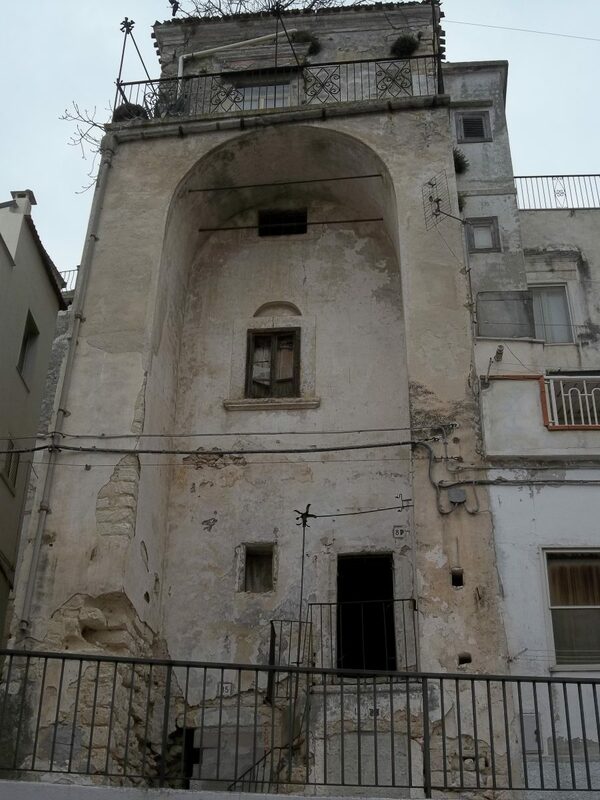 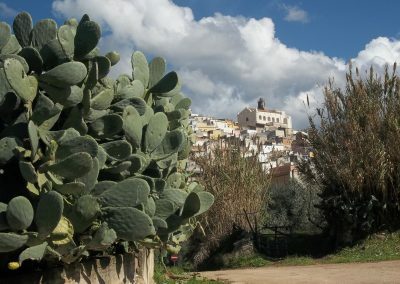 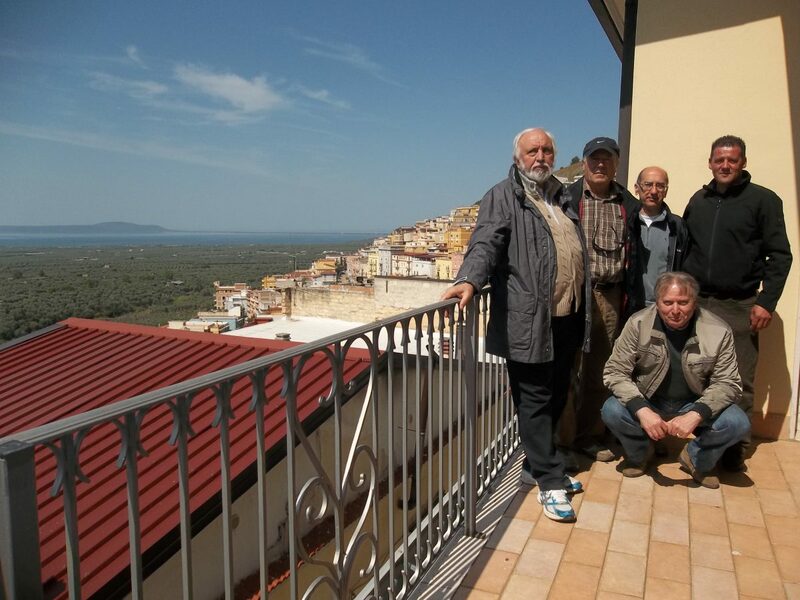 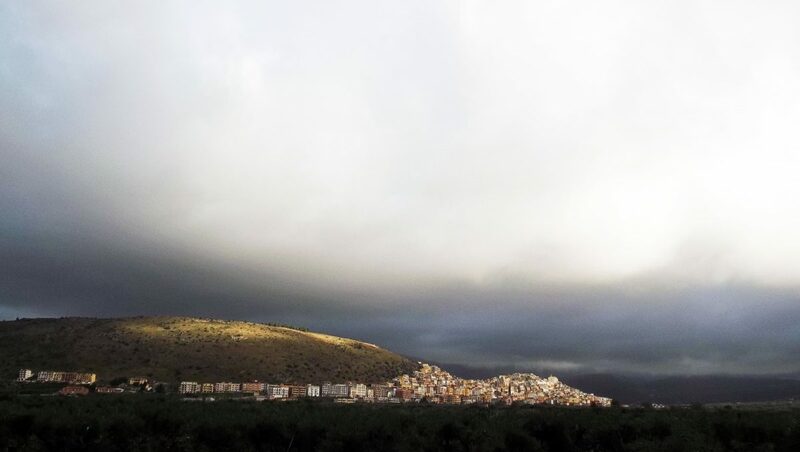 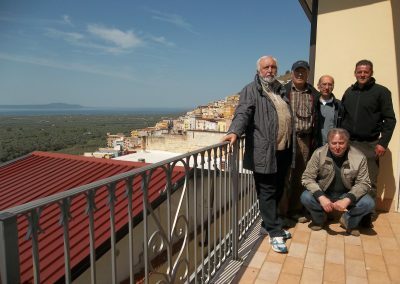 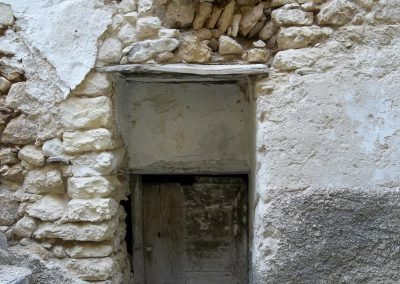 Due to the fact of its antiquity, the Gargano has been a means of immigration for peoples on the other shores of the Adriatic, notably the Greek and the Slav ones. 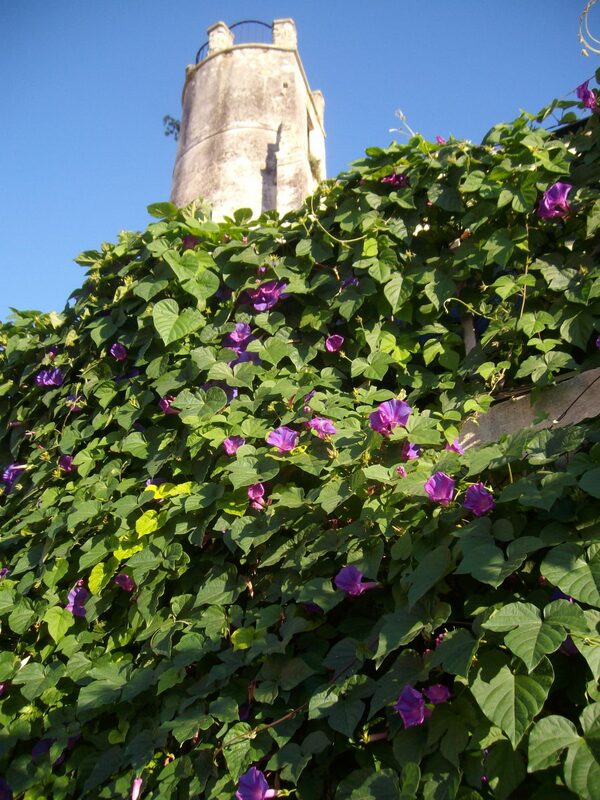 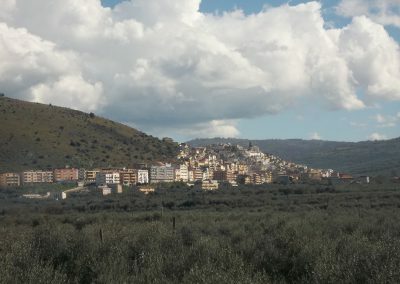 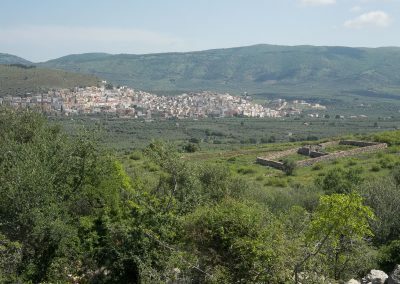 The remains of the city of Devia on Monte D’Elio which can be seen from Torre Mileto, bear witness to it. 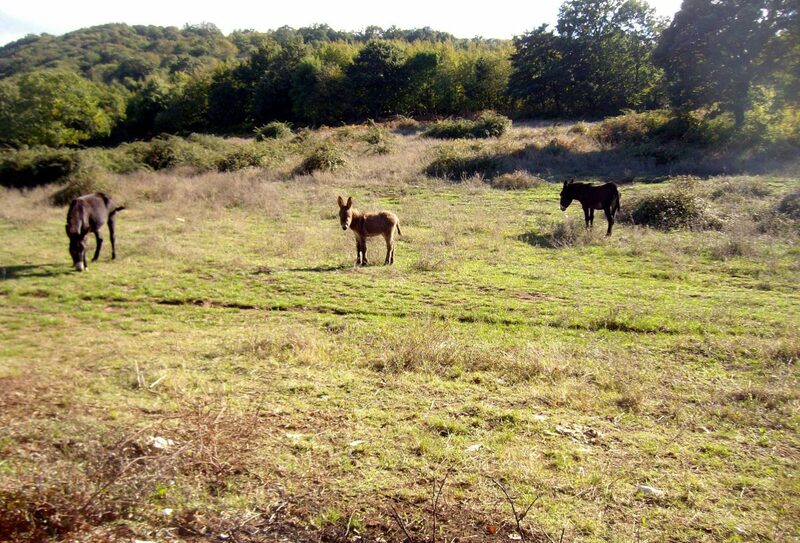 There is no definite information about what type of inhabitants dwelt in the Carpino area in the prehistoric period. 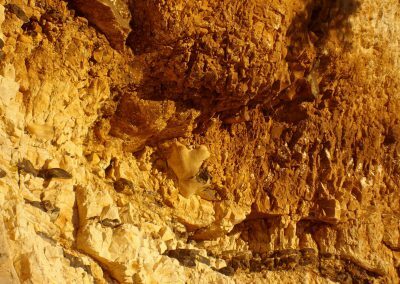 But we can deduce from the presence of natural caves and from the quantity of flint that could be cut to produce lithic hand tools, that it would have attracted the primitive man’s interest and so favoured the presence of trogolodytic settlement. 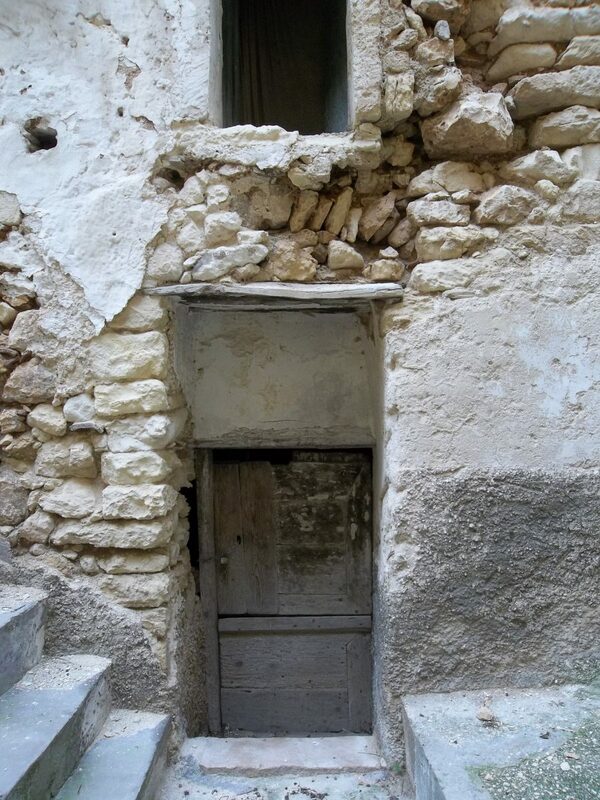 The many caves bear witness to this and even today we can find the foundations of many houses hidden in them. 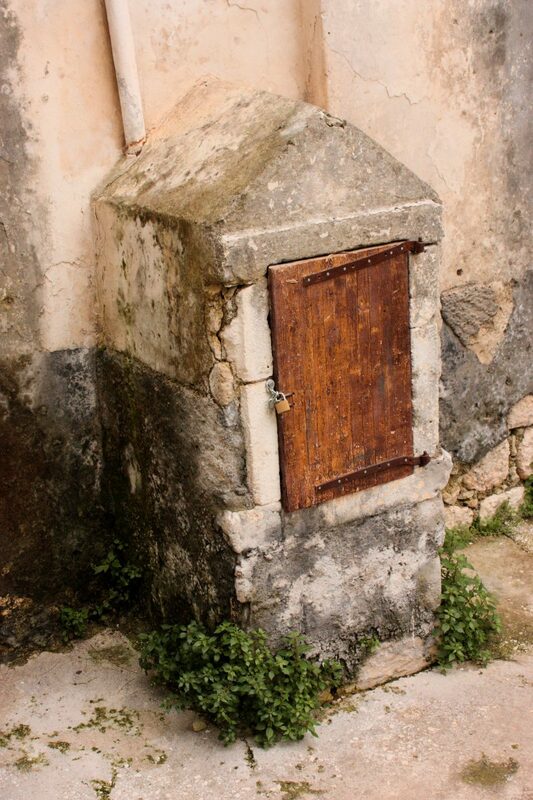 Until the last century, some of them were still used in this way and today some are still used as cellars to keep food fresh. 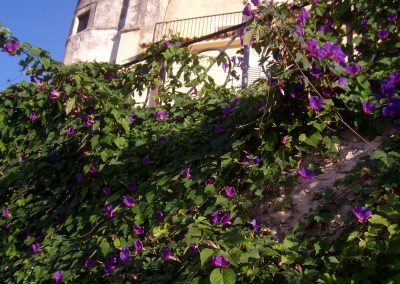 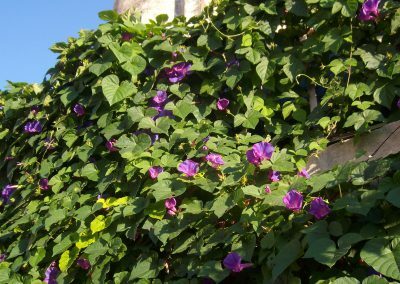 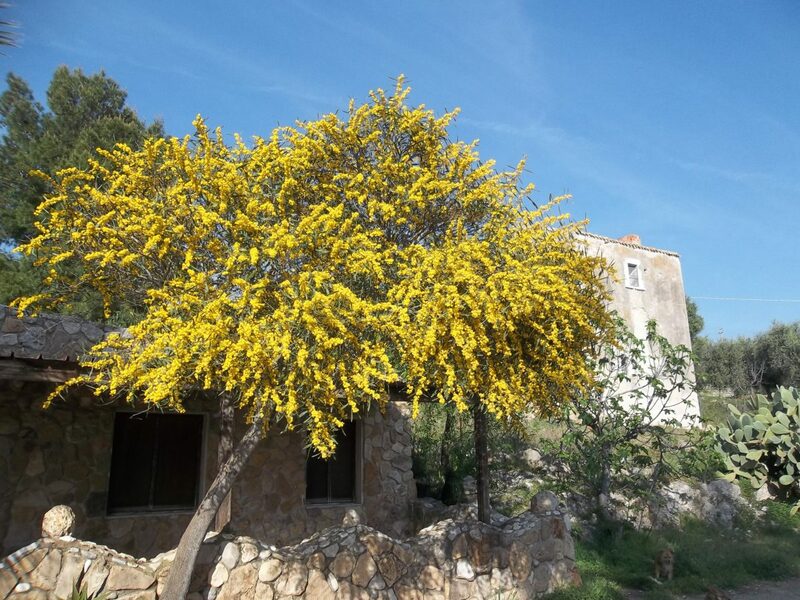 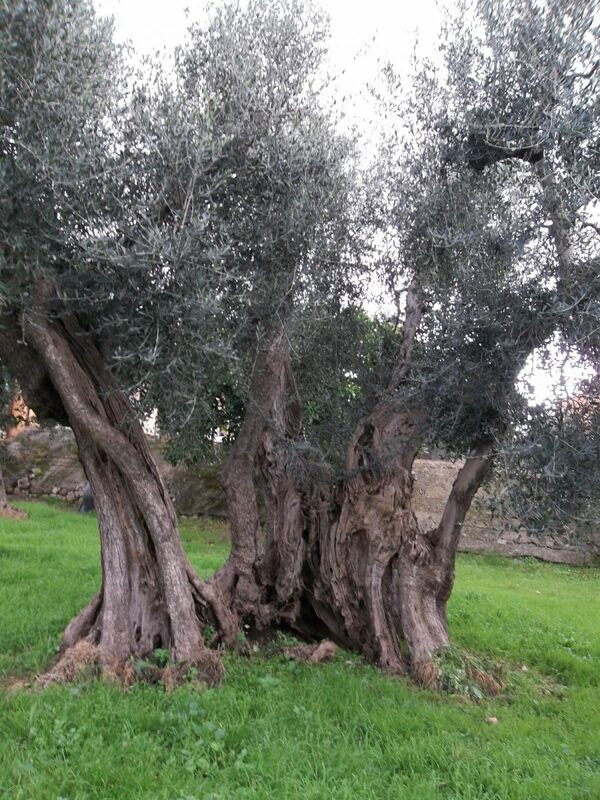 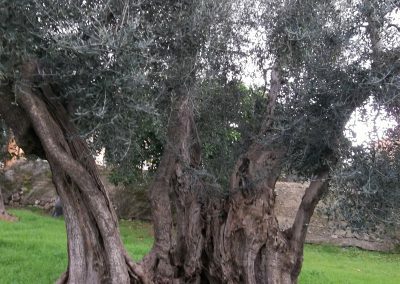 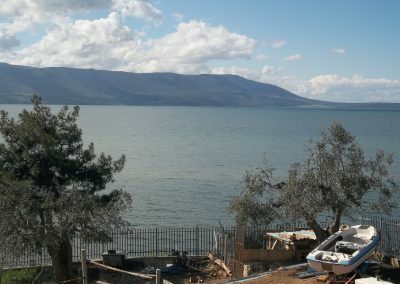 The historic origins of this place go back to the year 1000 when the last inhabitants of the ancient and important city of Uria, which rose up from the western shores of lake Varano, took refuge in the Carpino woods. 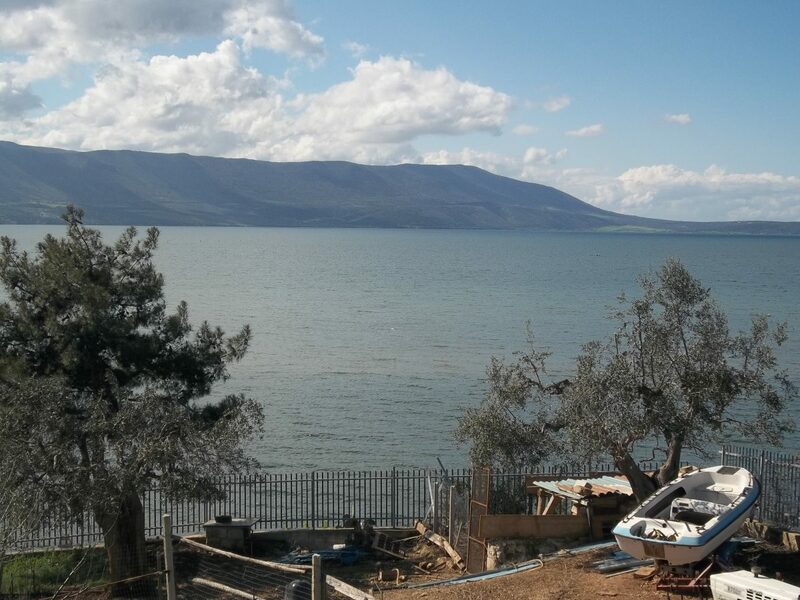 They went to live at a short distance from the mountain and they were looking for places which were not afflicted by malaria. 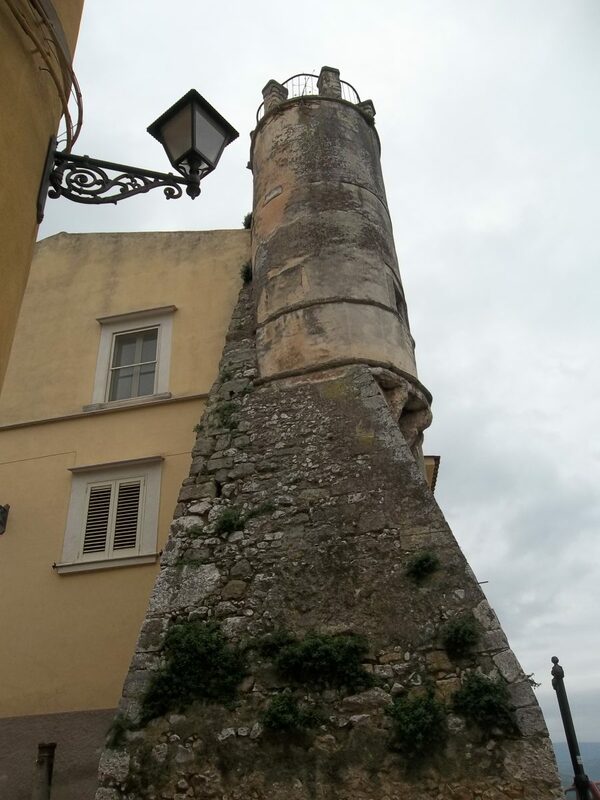 The first document in which Carpino is mentioned is the papal bull of Pope Adrian IVth of the 1st of January 1158. 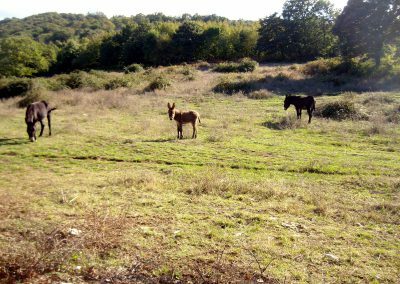 As regards its name, there seems to be a link with the presence of goats in the area or with the hornbeam tree, a forest tree which was widely spread in this part of the zone. 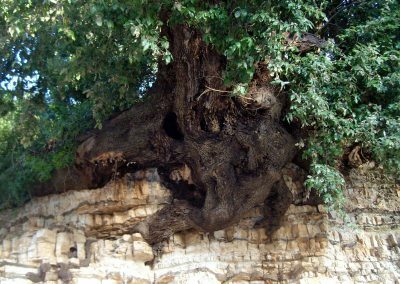 Some people dismiss this etymological idea because they maintain that the hornbeam does not like carsic land. 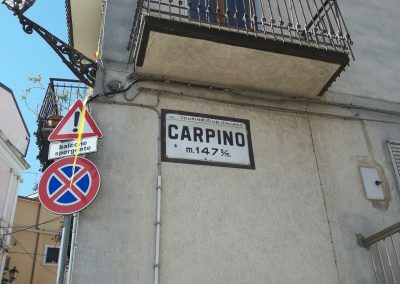 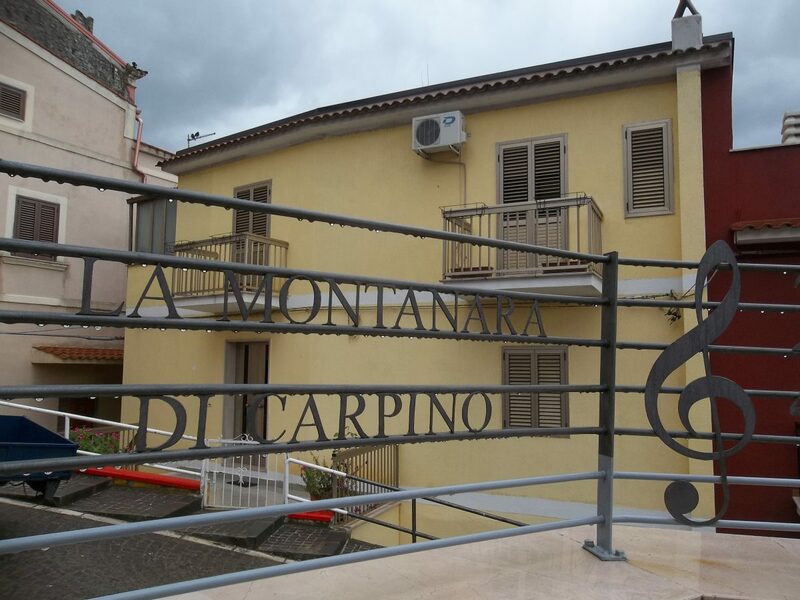 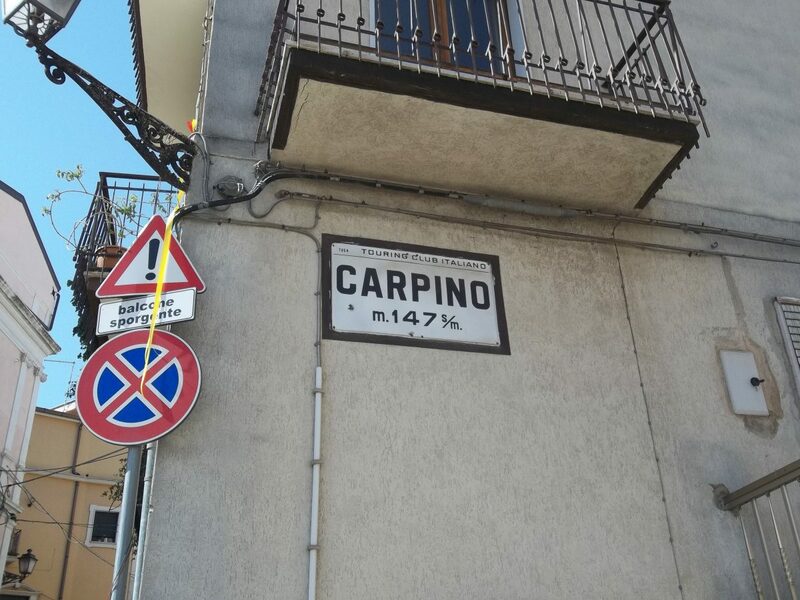 With the passage of time, probable and inevitable errors of legal transcription changed the name firstly from ‘Crapino’ to ‘Caprino’, and then finally to ‘Carpino’, which is written in a local document of 1628. 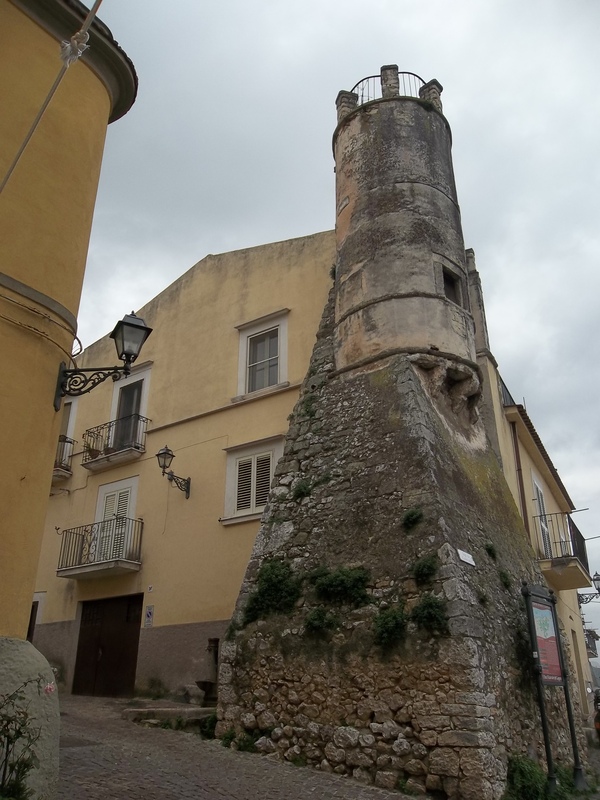 At the highest point of Carpino, the castle appears, built by the Normans between 1150-1160 and later restored by the Swabians and extended. 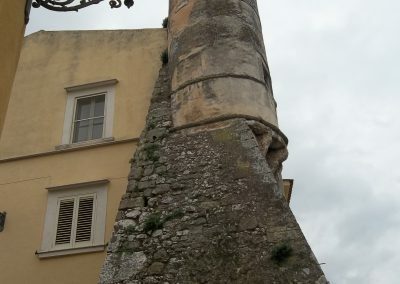 Today there remains only one big tower because, as often happened in these parts, the remaining parts of the building were used for civic dwelling. 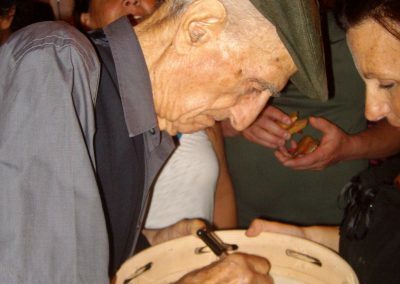 In this way, the people shook off the heritage of a shameful and unpleasant feudalism. 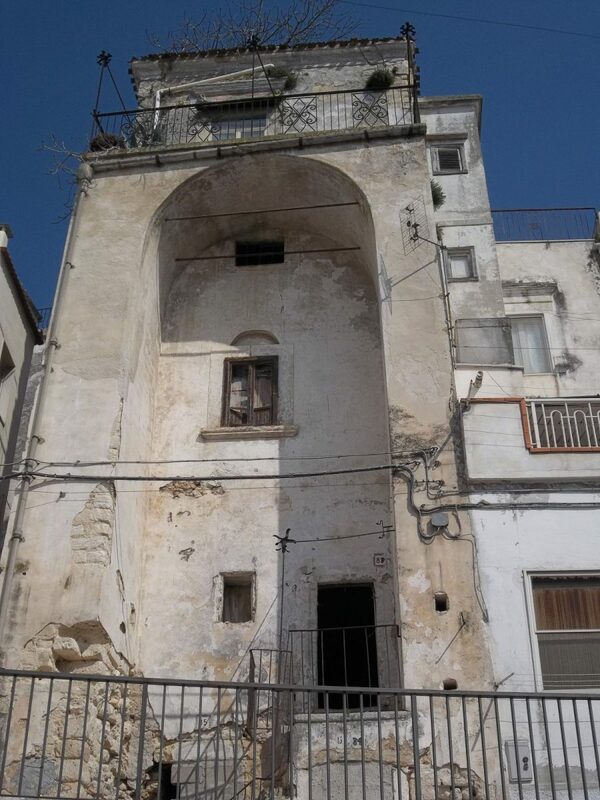 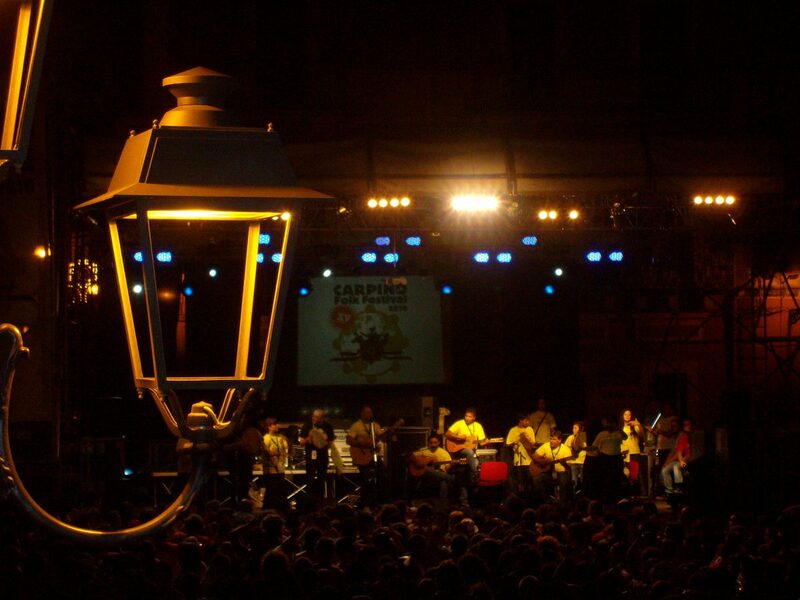 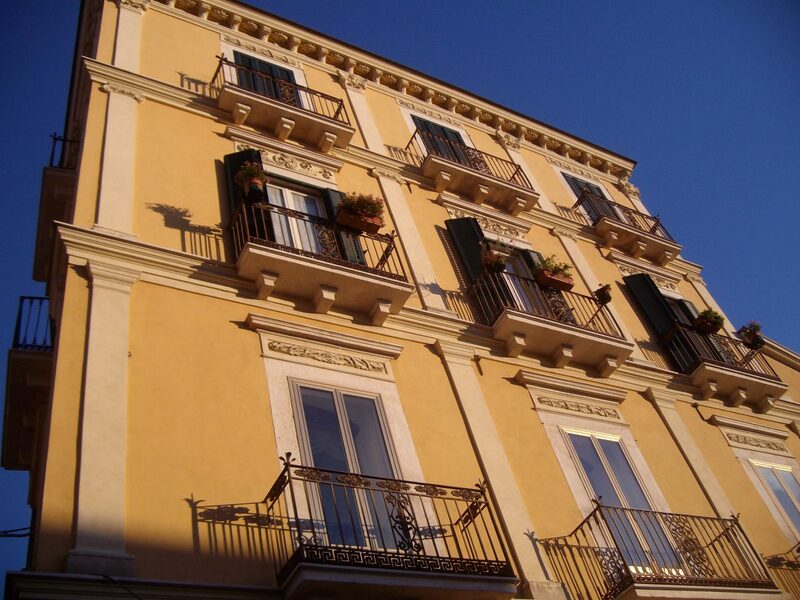 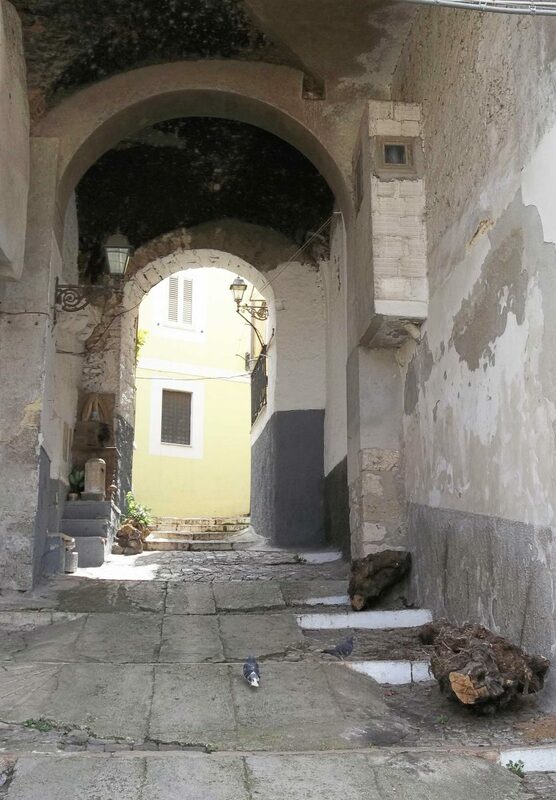 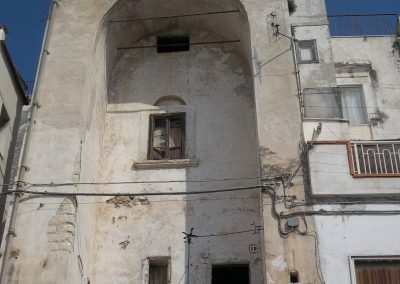 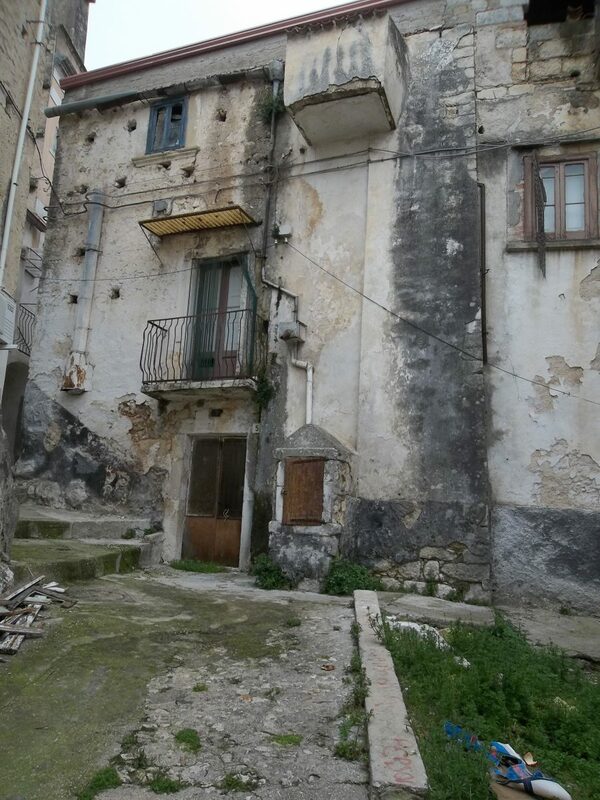 The historic centre is characteristic of the place and it is an architectural gem that cannot be replaced. 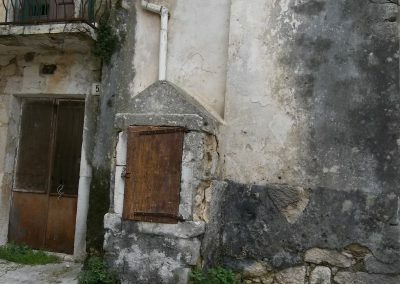 Today the periphery is in a condition of total abandonment. 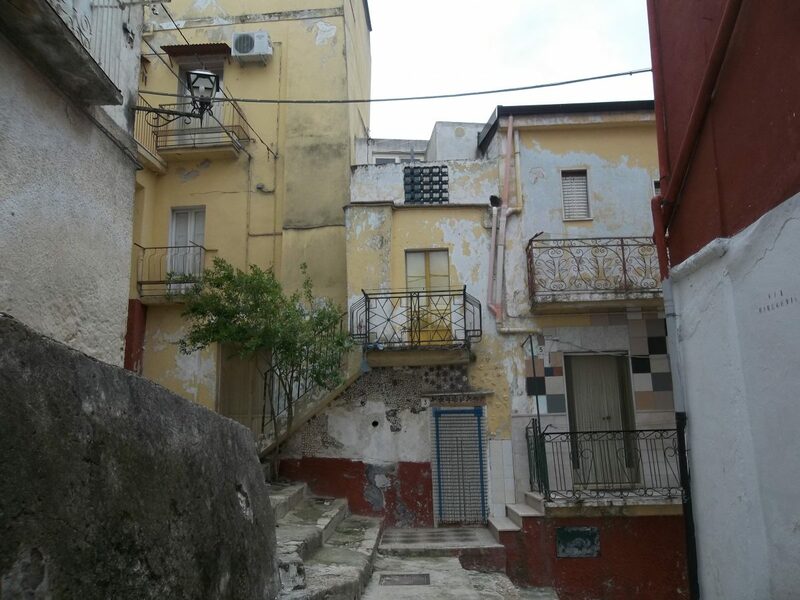 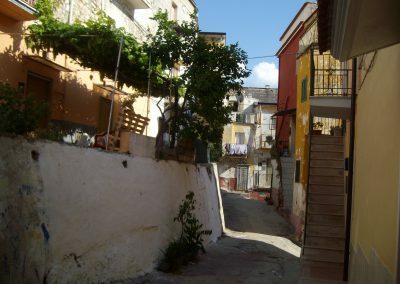 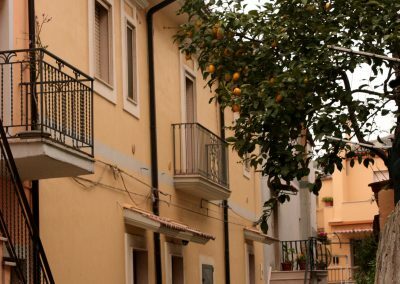 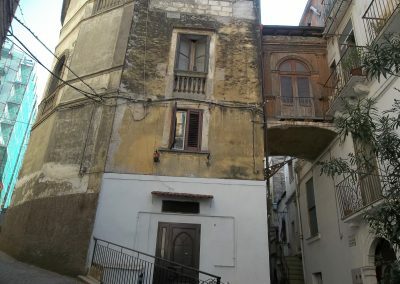 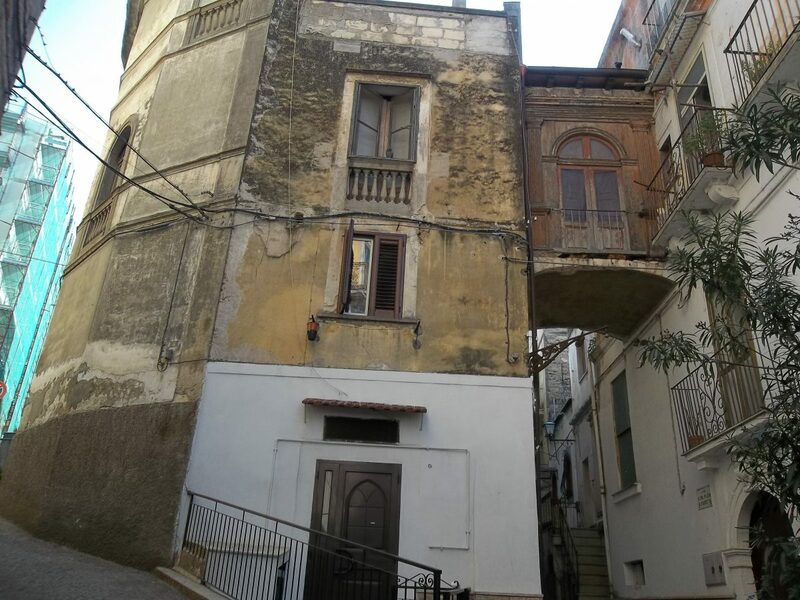 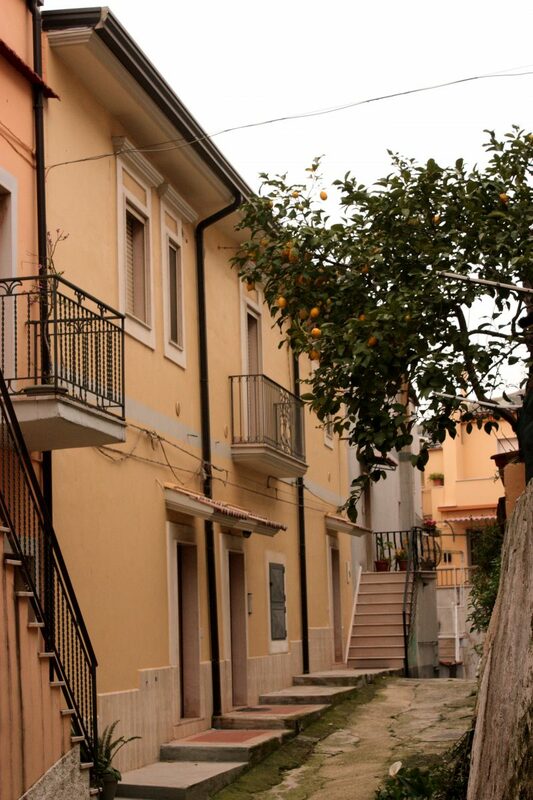 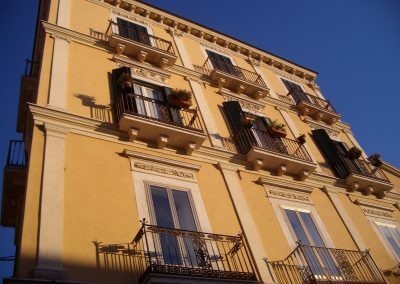 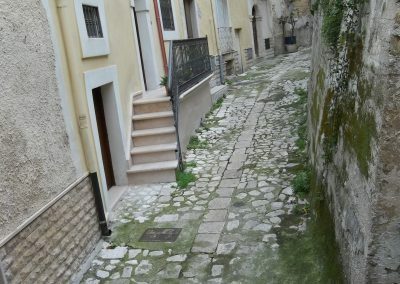 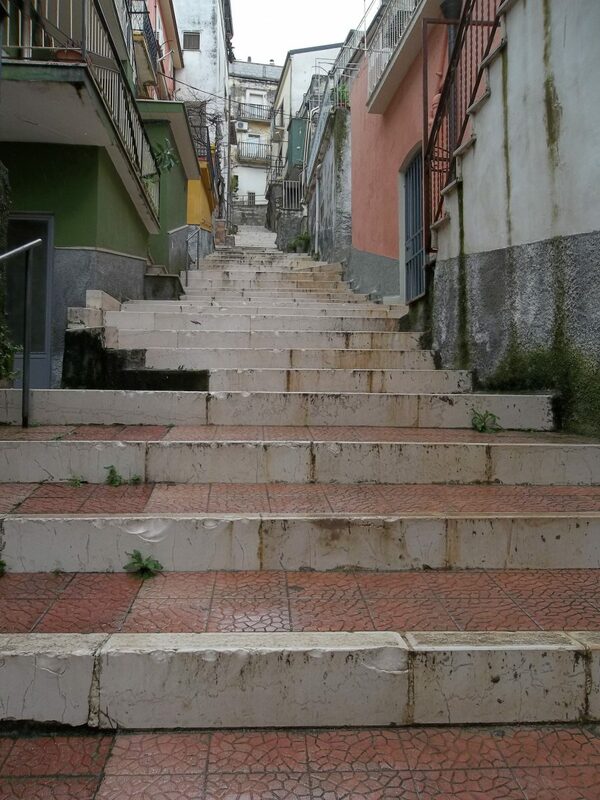 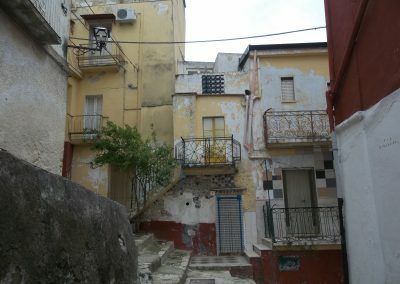 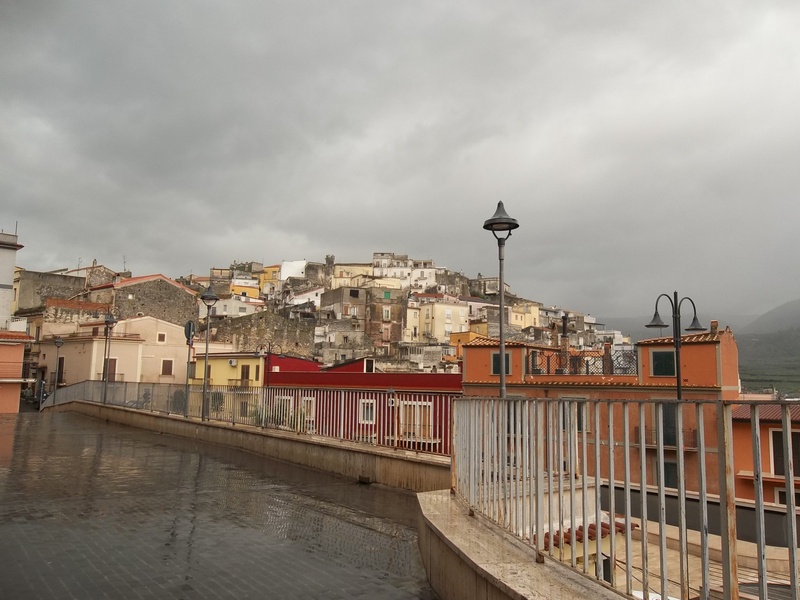 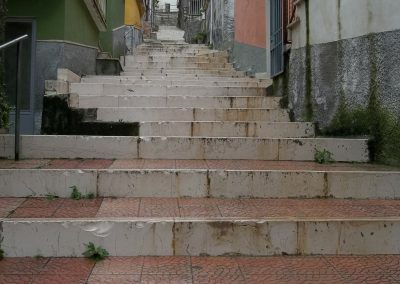 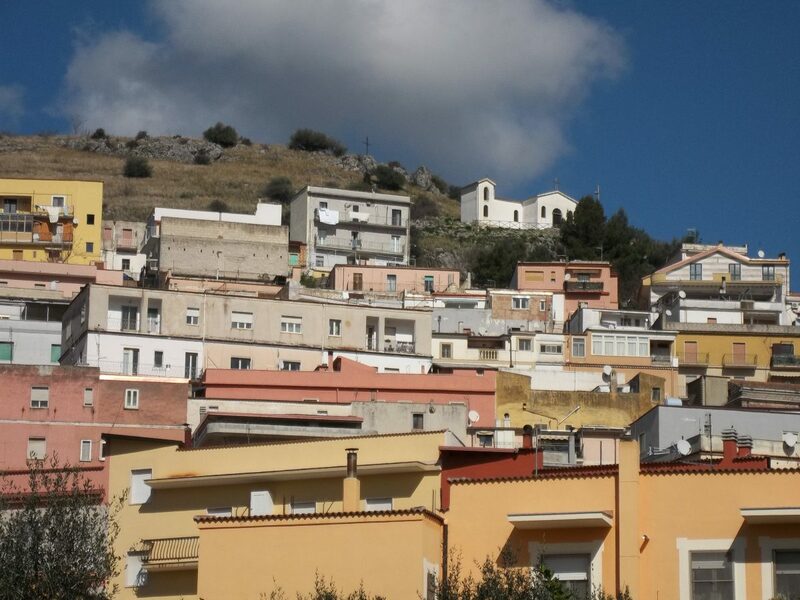 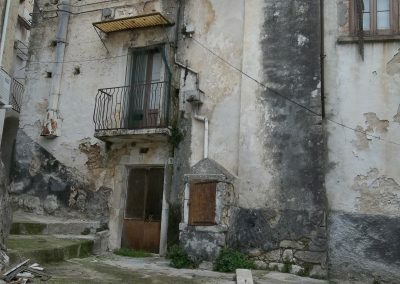 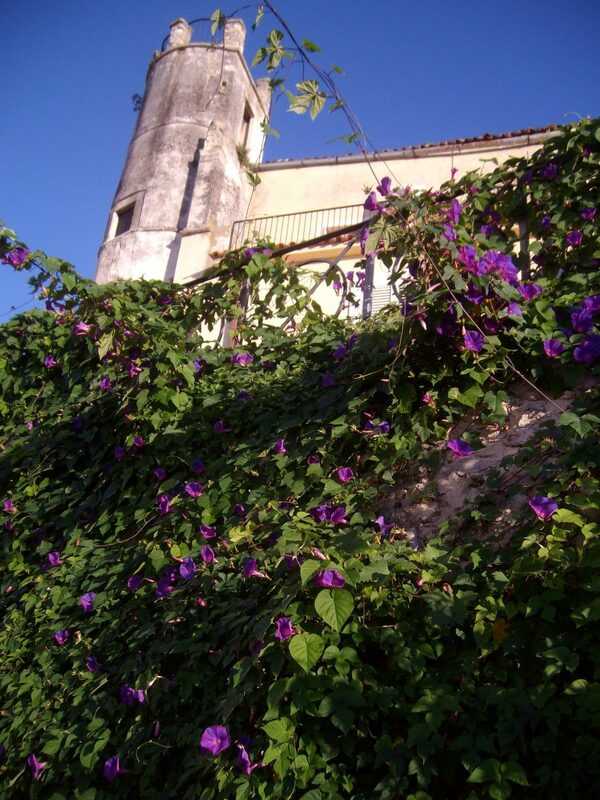 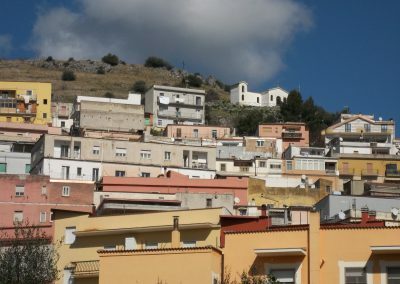 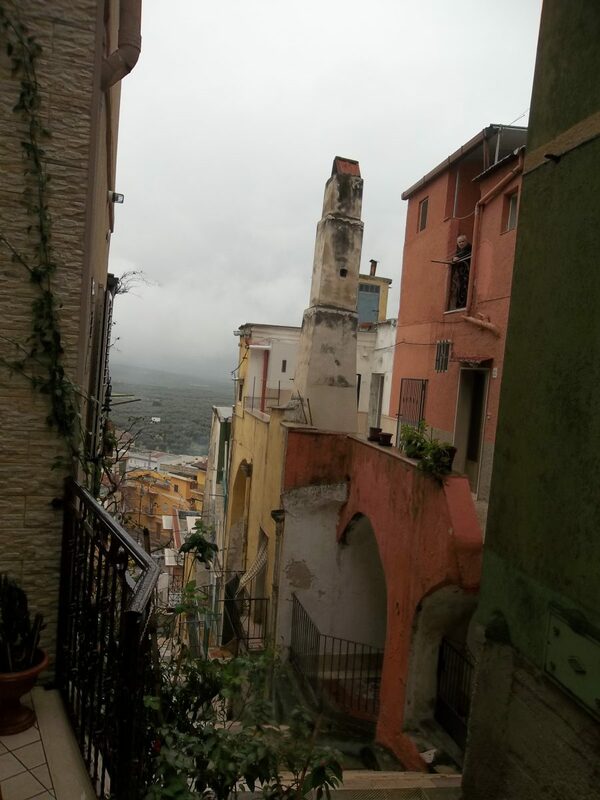 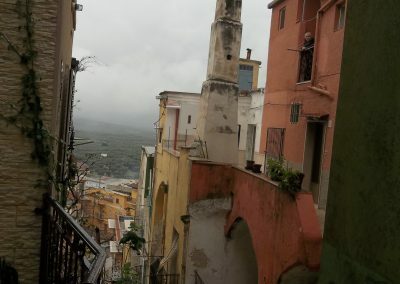 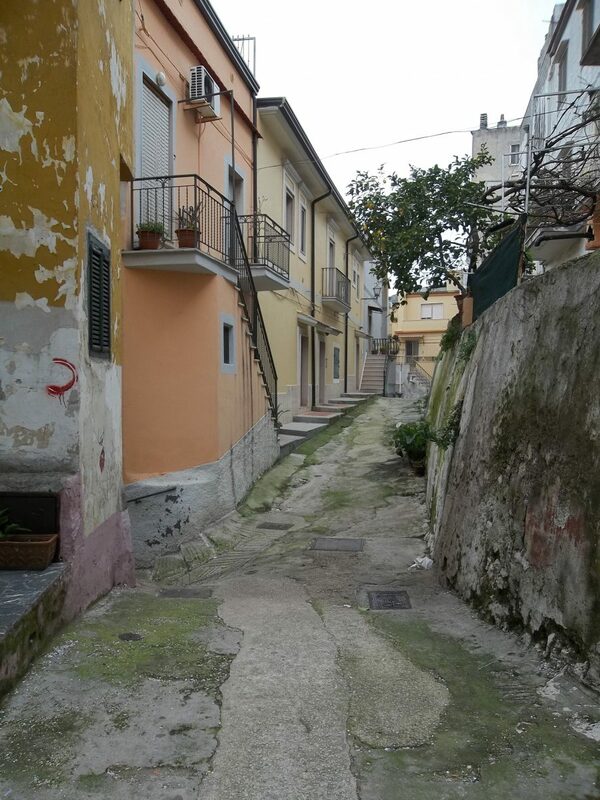 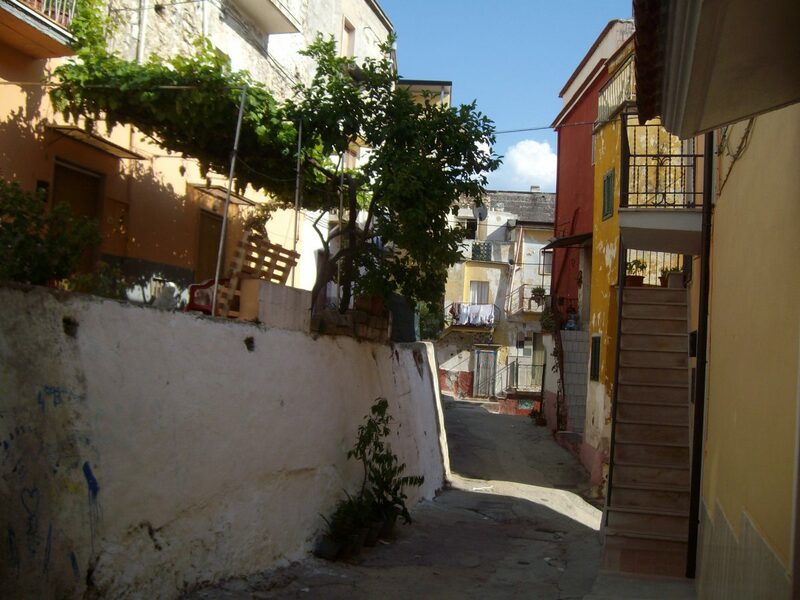 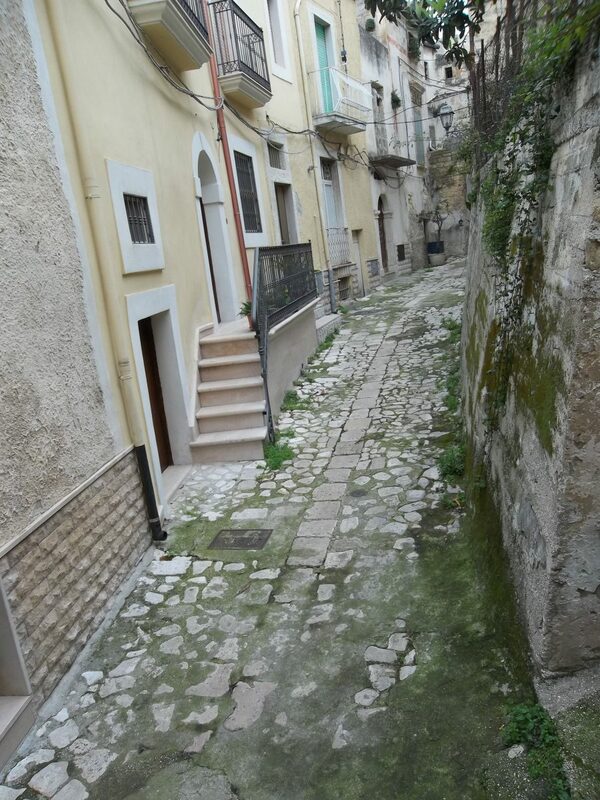 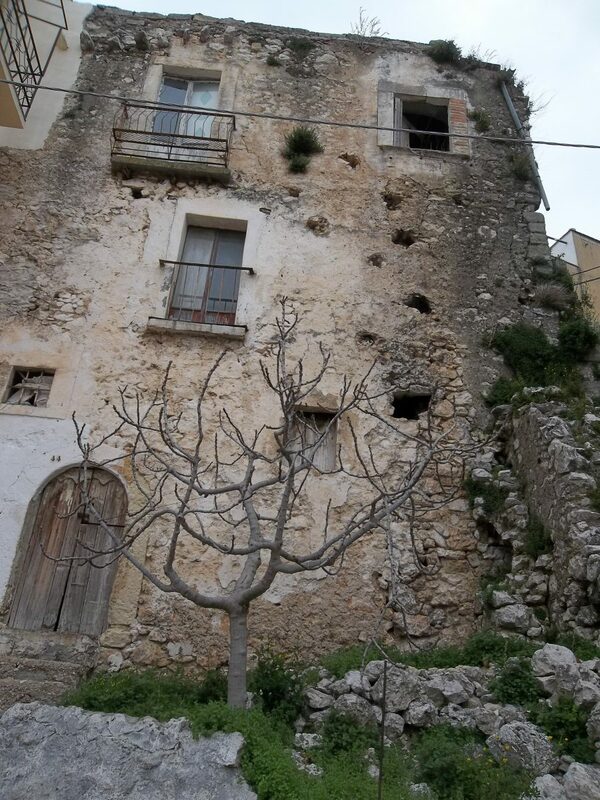 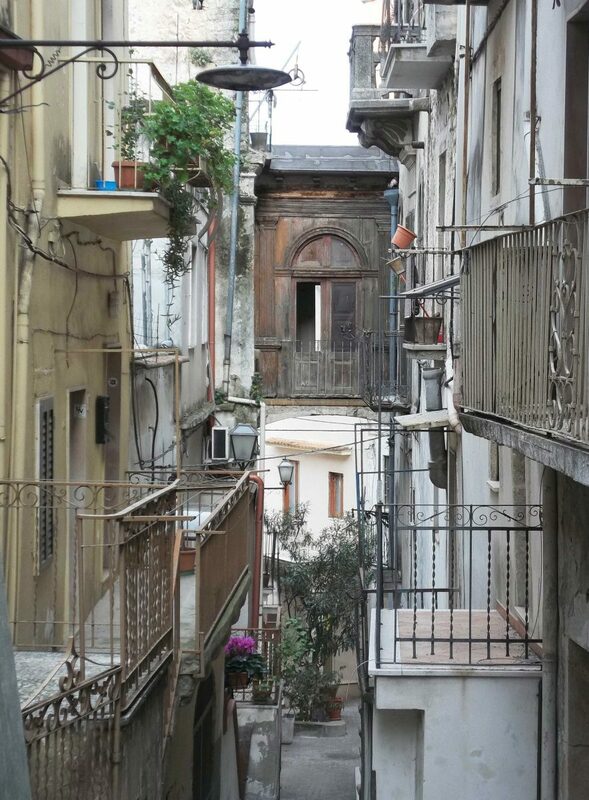 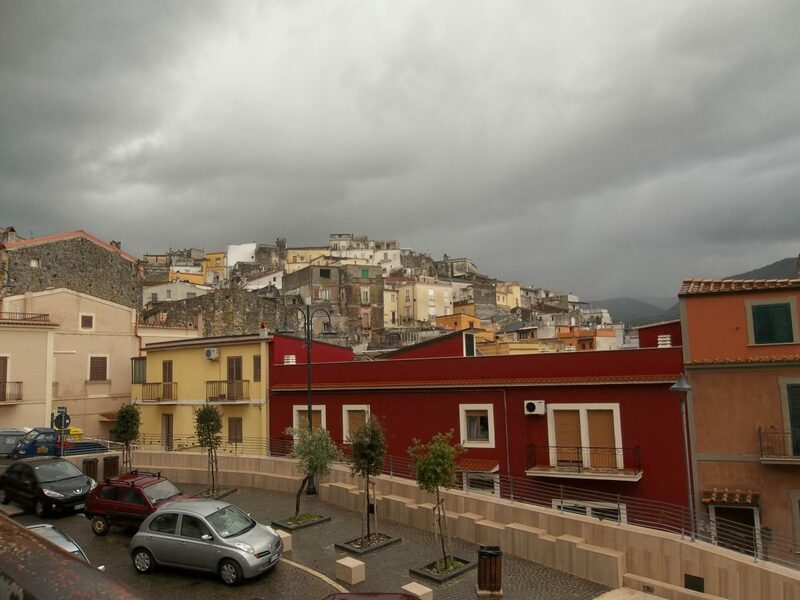 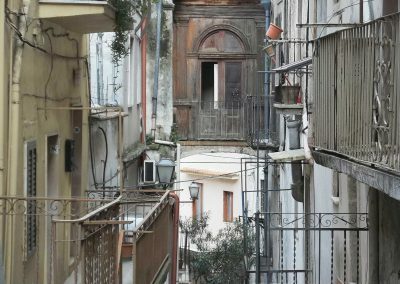 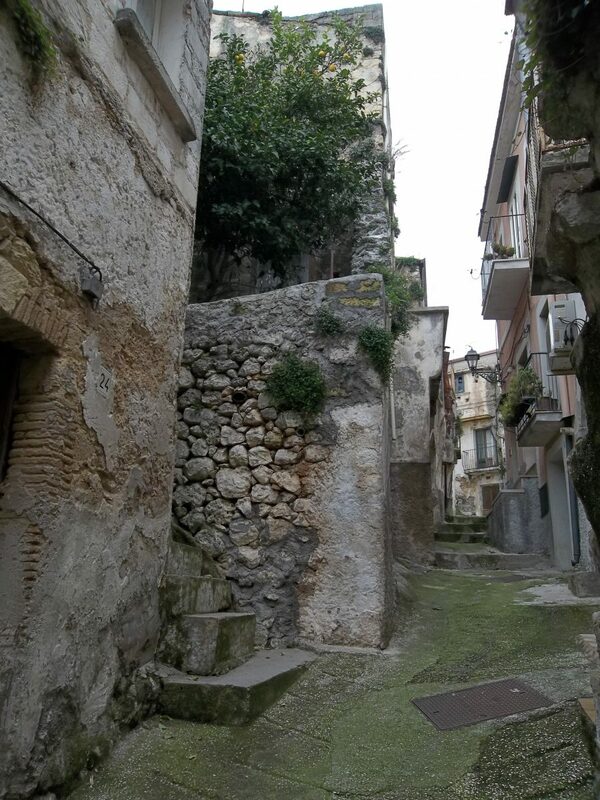 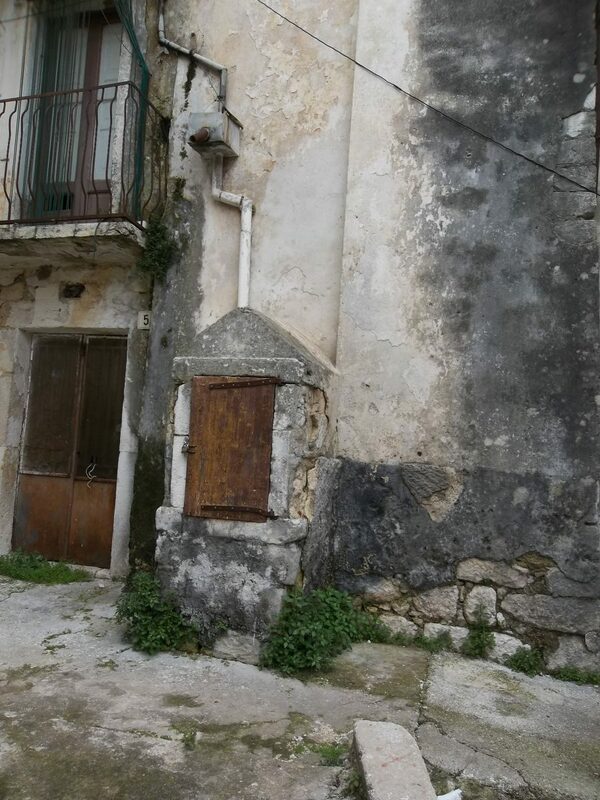 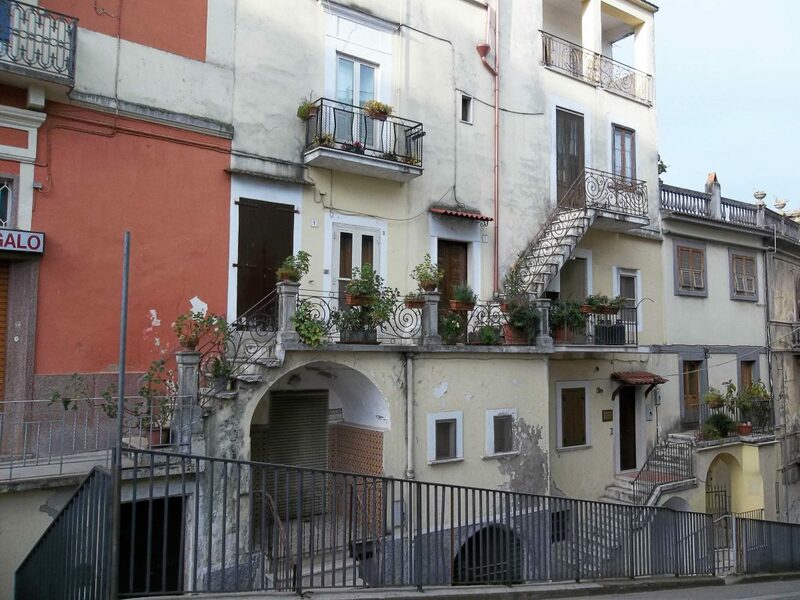 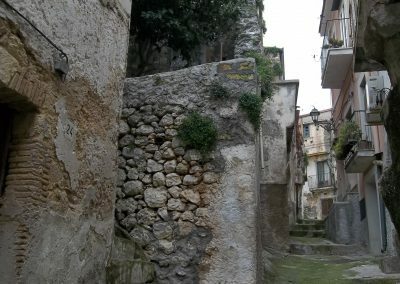 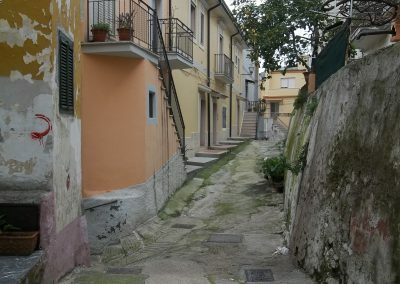 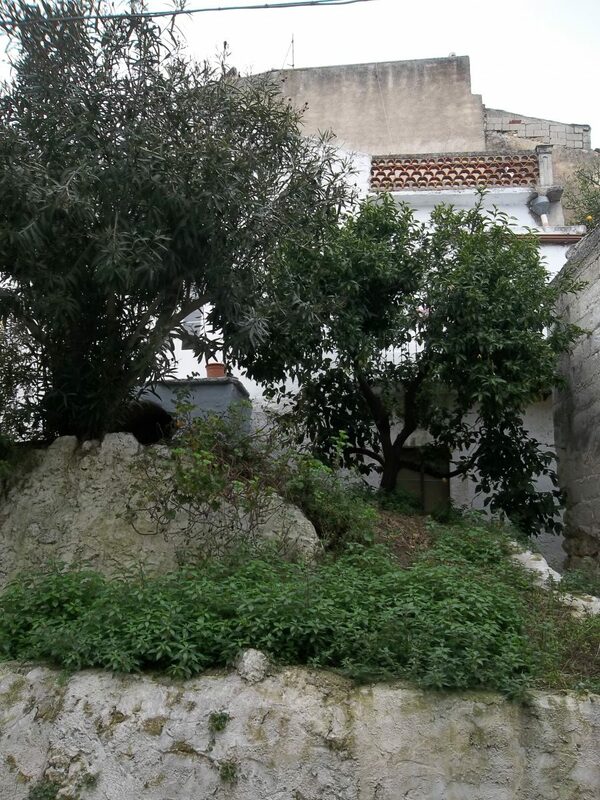 You see houses built one on top of another, separated by narrow alleys and steps, interspersed with internal gardens. 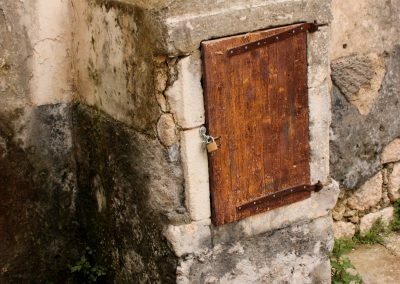 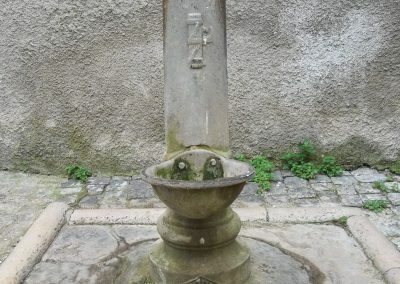 A keen eye can still see the opening of some ancient cistern for the collection of rain water, another miracle of human engineering. 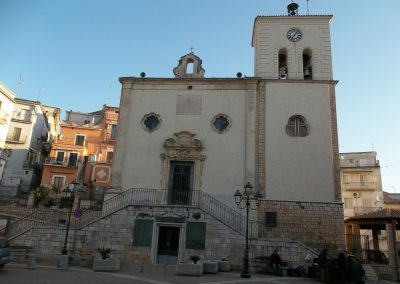 Along the more central and maintained part, you can admire the “Mother Church”, consecrated in 1678 to St.Nicolas of Mira. 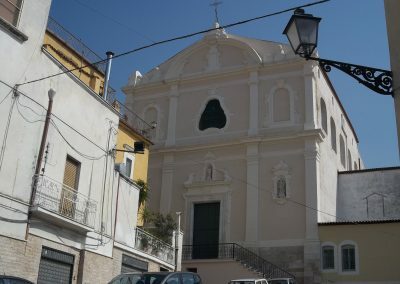 In Piazza del Popolo, however, you can see the Church of St.Cirillo, its squared mass rising up from opposite flights of steps. 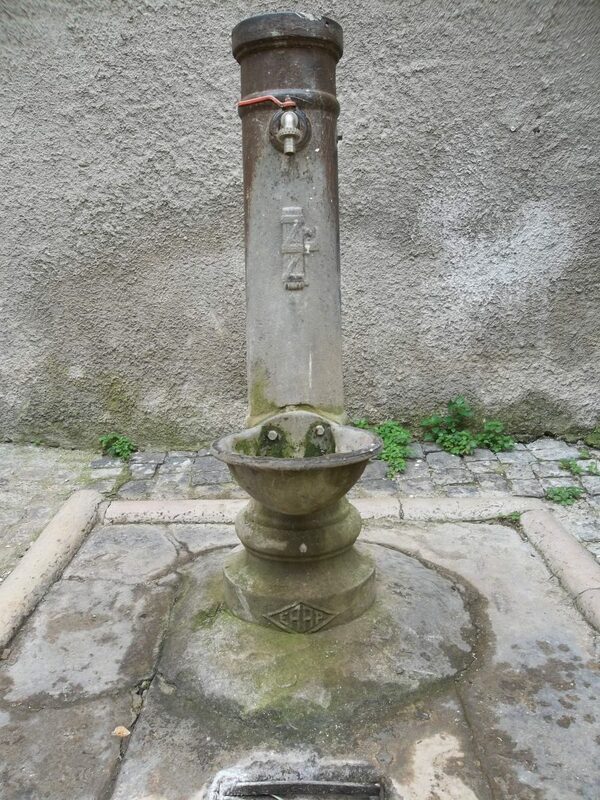 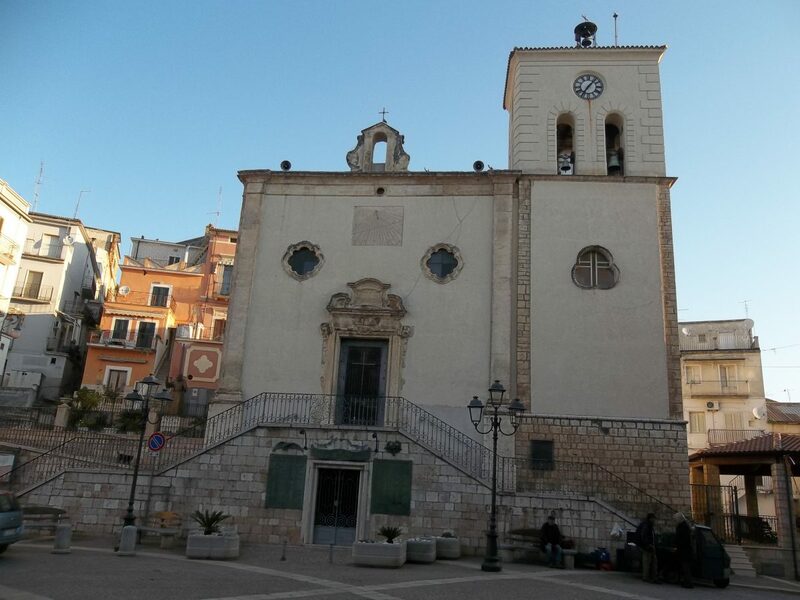 Already in existence since 1310 as an oratory, it was modernized in 1770. 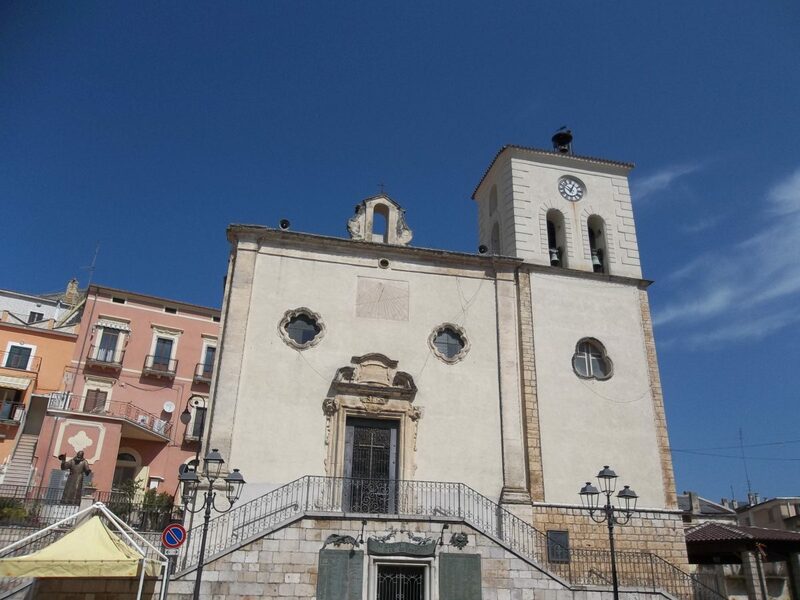 Carpino’s patron saints are: St.Cirillo of Alessandria, a bishop and doctor of the Church, who is commemorated on May, the 18th and St.Rocco , the pilgrim, who is remembered on August, the 16th. 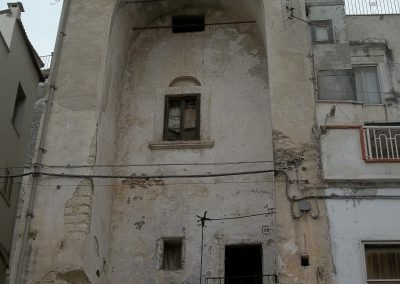 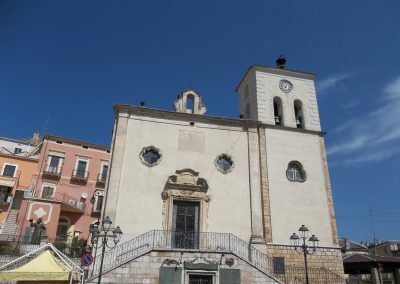 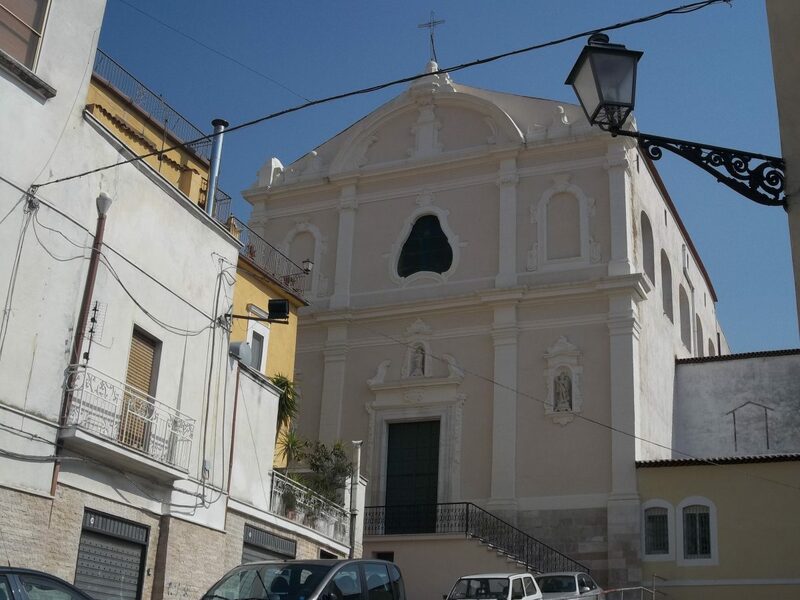 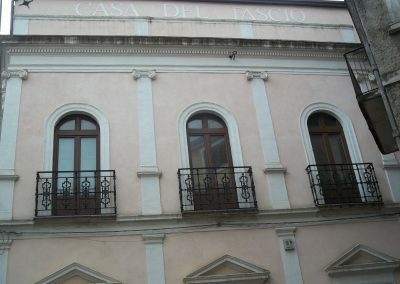 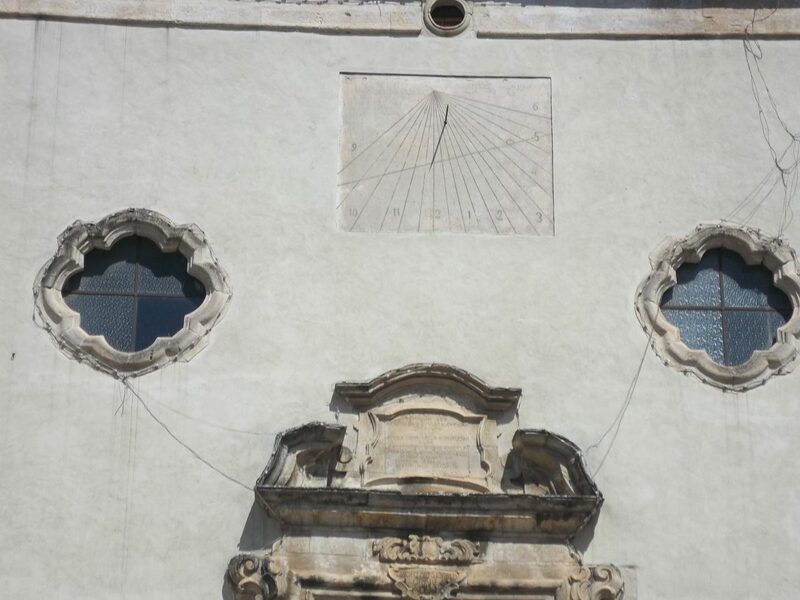 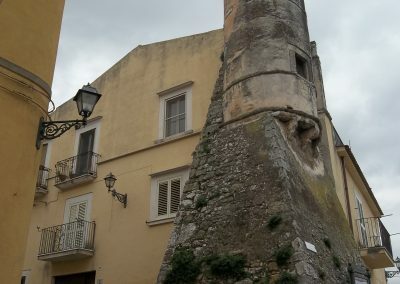 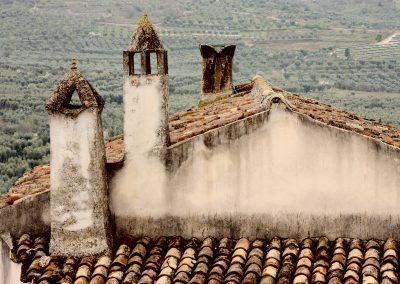 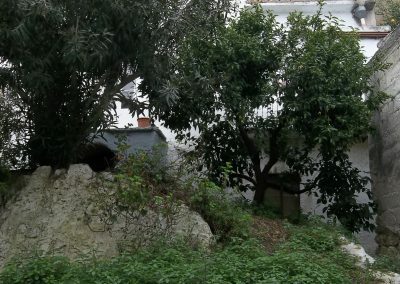 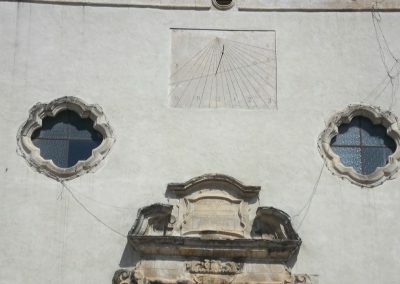 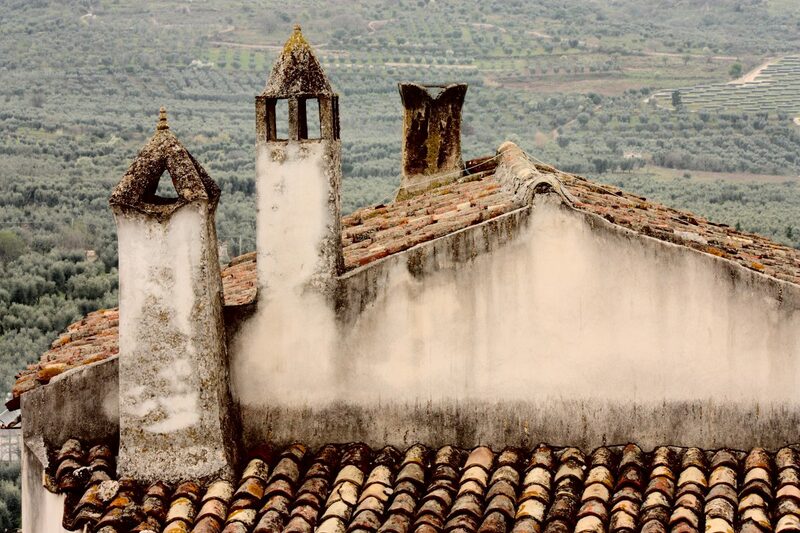 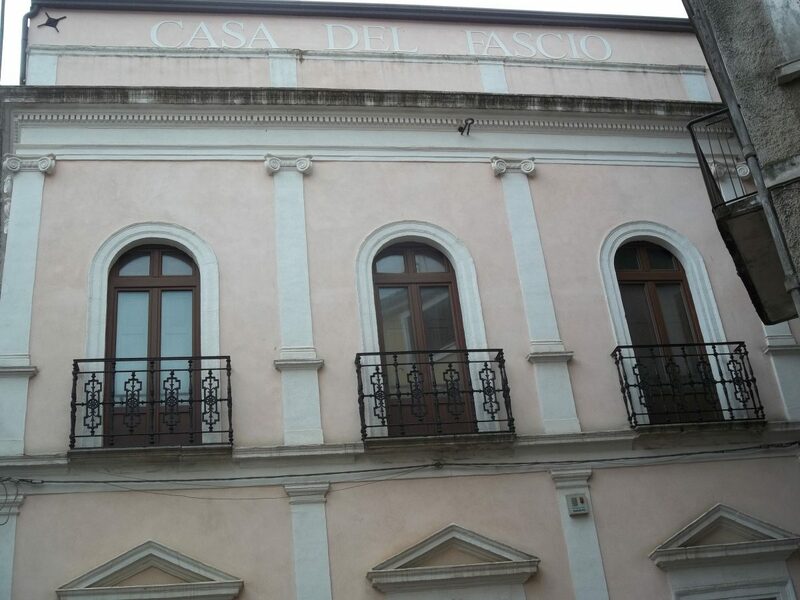 On the Pastromiele hill, the little church of Santa Croce appears, which is only open twice a year – on May, the 3rd, the day of Santa Croce and on the 14th of September, the day of the exaltation of the Cross. 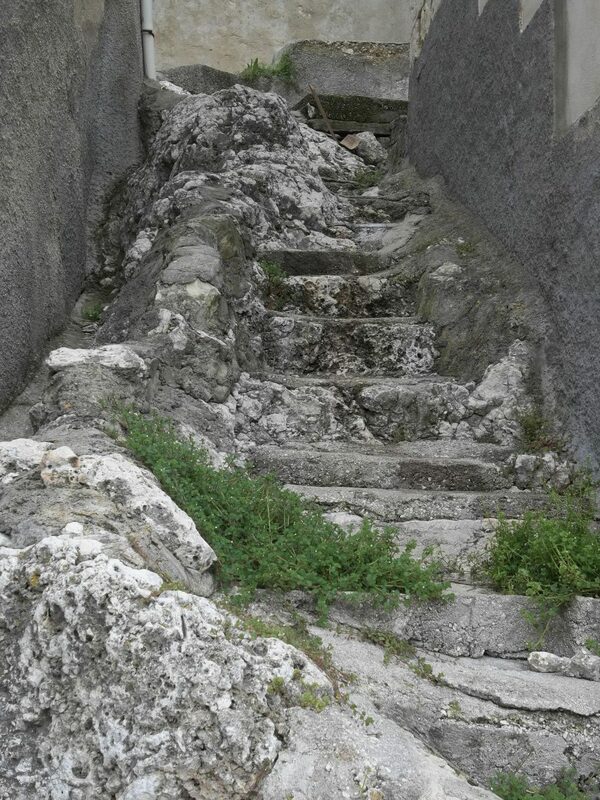 Other church ruins like those of St.Anne or those of St.Peter , on the Carpino plain, have been left and abandoned. 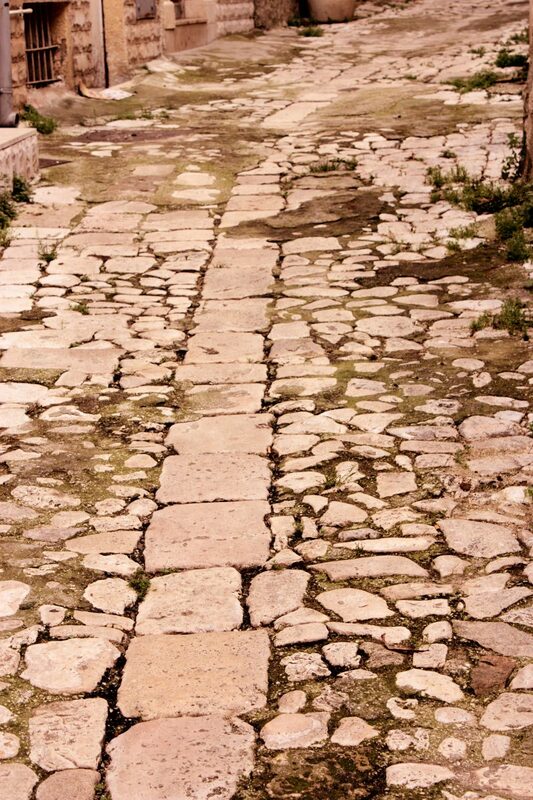 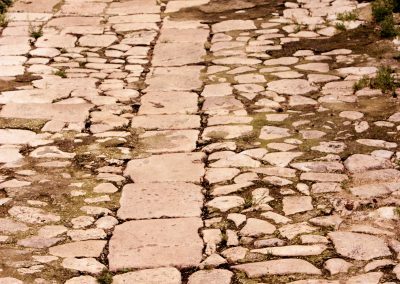 Before metalled roads were built, all the Garganic communication revolved around a network of sheep tracks. 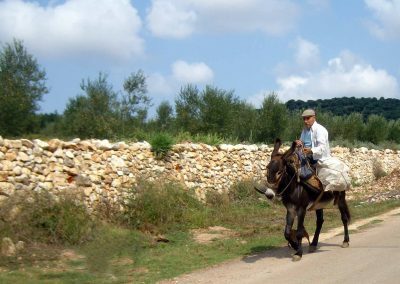 The long horse rides, the rare visits to old friends residing in different places, the necessary stopovers in isolated rural dwellings, the spiritual places that link to nature, created a lifestyle that is almost incomprehensible to us now, who have overcome the speed of sound. 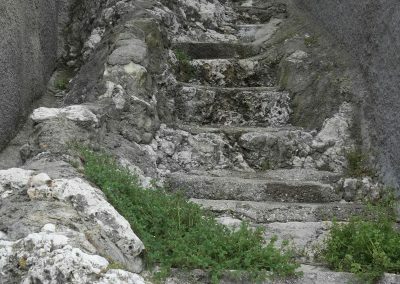 It has bound men to their land in a way that we are no longer able to understand.e.